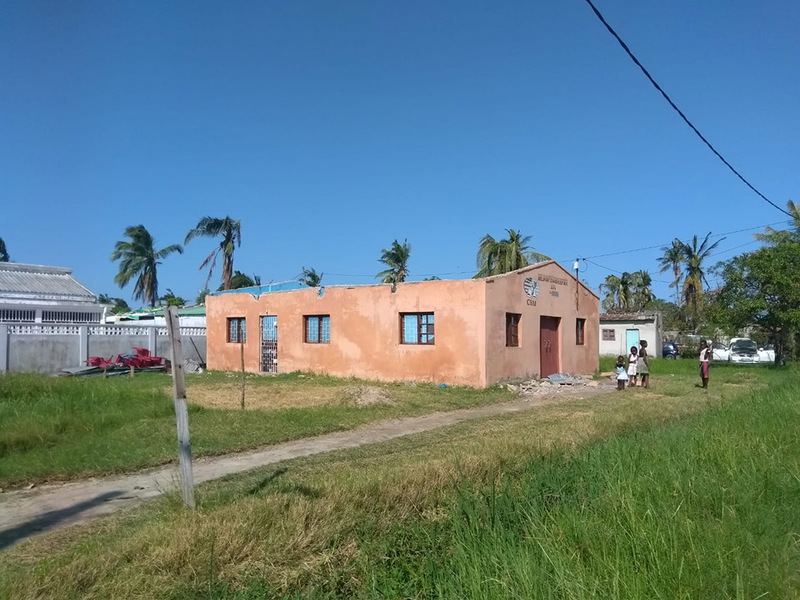 You are helping bring access to justice in one of the poorest nations in the world, by supporting BMS World Mission and giving poor people the empowerment of knowledge. You can’t report a crime if you don’t know you’re a victim. And that’s often the case for people in Mozambique. In a country with a tumultuous past, it’s not unusual for many people not to understand the law. Not to know your rights. But BMS workers and partners in Mozambique are changing that. 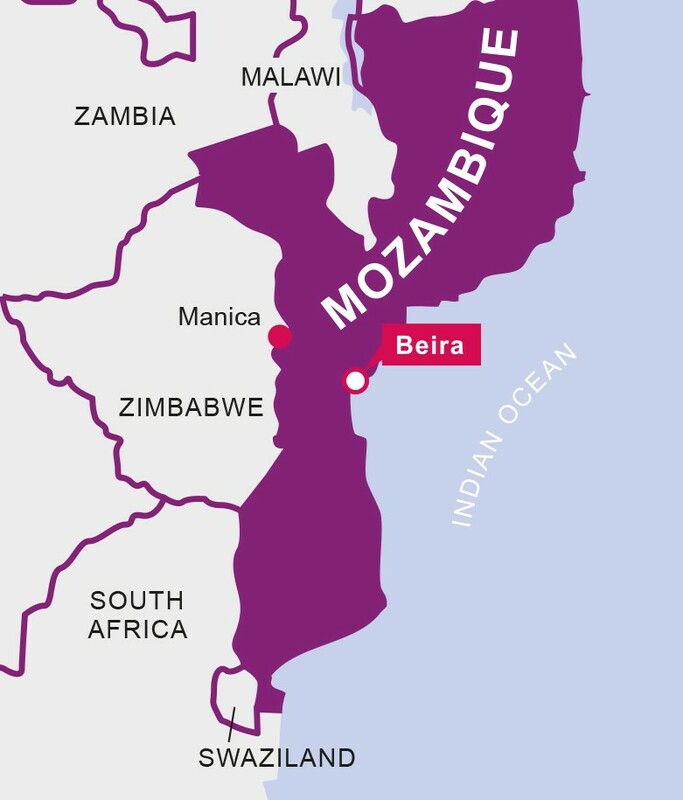 BMS lawyer Mark Barrell is working with the Association of Mozambican Christian Lawyers (AMAC). “The aim of AMAC is to provide access to justice to the most poor and vulnerable people,” says Mark. And in a country with only around 2,000 lawyers in a population of 30 million, AMAC’s work couldn’t be more necessary. The lawyers from AMAC work hard to provide advice, education and sometimes legal representation to those who need it. 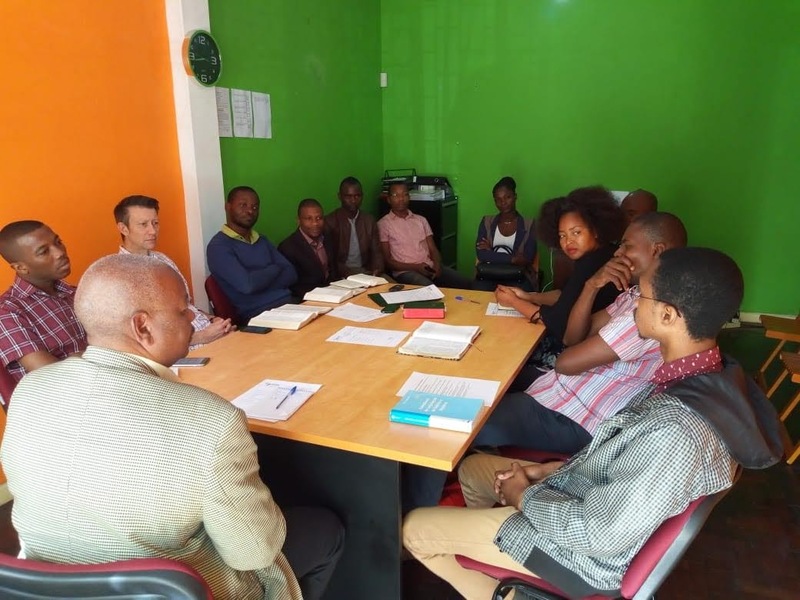 The staff at the Association of Mozambican Christian Lawyers are committed to bringing justice to people who need it most. “We support many different people in different circumstances,” says Mark. 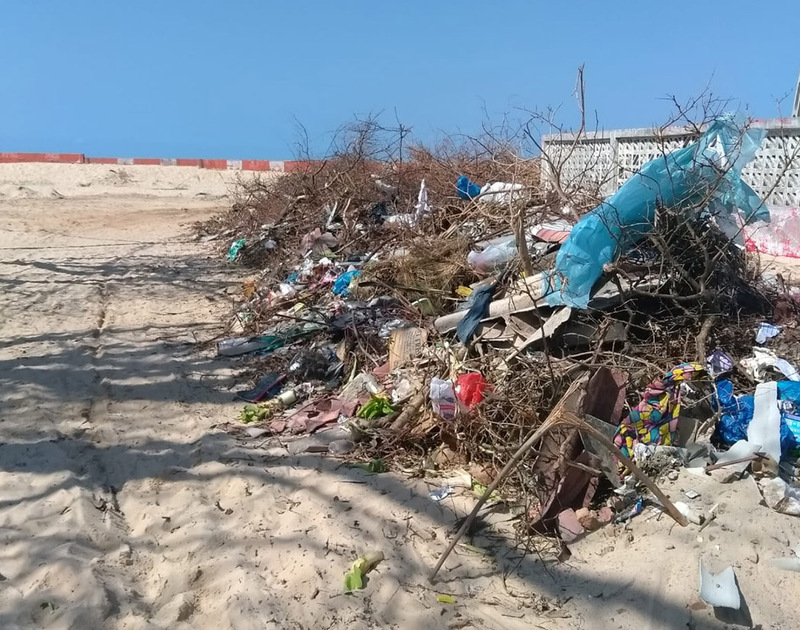 “But often the people we help will be women, whose status in Mozambican society can be very low.” AMAC regularly works with women who have been left by their husbands or partners and who don’t have the means to support their children. Women whose husbands have passed away and whose families are trying to take their homes. Women who are regularly subjected to domestic abuse. Women like Isabel*. Isabel was abused by her husband. But she didn’t understand what domestic abuse was, or that it is illegal. Fortunately, AMAC was there to help. AMAC regularly partners with local churches to hold education sessions where local people can learn about issues ranging from domestic abuse and inheritance to employment law. Isabel attended a session on domestic violence and was taught about what is defined as abuse, and why it’s wrong. Isabel spoke to a lawyer on the AMAC team, who quickly realised that she was a victim of domestic abuse. She was taken to the police station that same day to report the crime. Just a few months later, Isabel’s husband was brought before a judge. The court placed a restriction on him, and he was told that he could face imprisonment if Isabel reported any further abuse. With the help of the AMAC lawyers, many vulnerable people have been helped out of difficult situations. 1. Mark and Susanna Barrell, as they continue serving with BMS in Mozambique. 2. The work of AMAC, that it will continue to bring support to the most vulnerable people in Mozambique, and the wonderful Mozambican Christians who are partnering with BMS to make a difference. 3. Victims of abuse like Isabel in Mozambique and across the world, that they might know hope, justice and fullness of life. 4. For Mozambique as a country, that its people will be able to learn more about correct legal practices and learn their rights. If AMAC hadn’t been there, there’s no telling how long Isabel would have continued to suffer. But now Isabel can live without fear, and also in the encouragement of knowing that AMAC will keep helping other people like her. And that they are determined to keep bringing access to justice to those who need it. Please pray that AMAC is able to carry out their vision, and bring help to the people who need it. The threat of abuse is very real for pupils in many Ugandan schools. You can help by getting your church to pray for our child protection work. Imagine a classroom with 100 or more primary age schoolchildren in it. Put aside how crammed it might be and concentrate on this: more than two thirds of the children in front of you have been sexually abused by a male teacher, according to a Unicef survey. The percentage of children who have been caned is even higher, yet their abusers get away with the abuse, free to inflict suffering on a child in a place every child should feel safe: school. The survey on the prevalence of abuse in Ugandan schools shows that people are aware of the abuse – but it still continues. Do not think it is going completely unchallenged though. Ugandan officials are making strides. 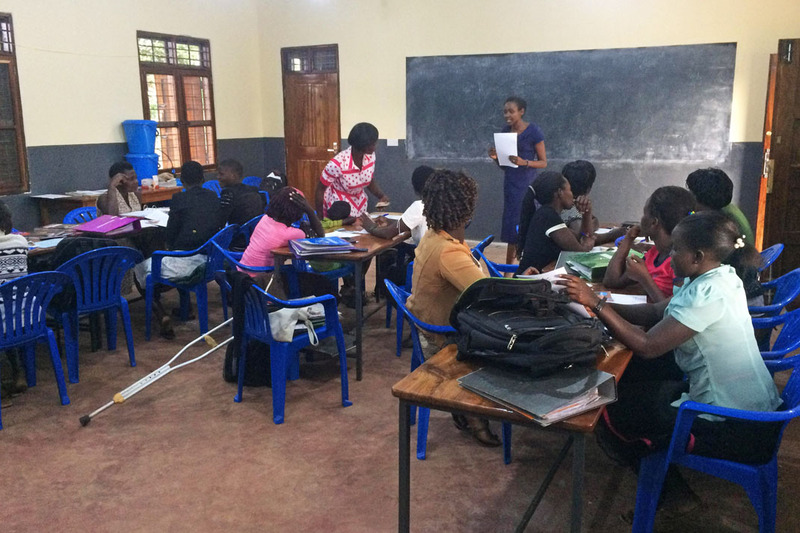 And, with your support, BMS World Mission lawyer Linda Darby is working tirelessly in Gulu, northern Uganda, to change attitudes towards child protection in schools. Linda Darby’s mission to tackle abuse in schools begins with training future nursery teachers about child protection. Backed by local government, Linda has so far taken 21 schools through training on how abuse can be identified, reported and prevented. And the message of protecting children from sexual and physical abuse is not restricted to the school environment. 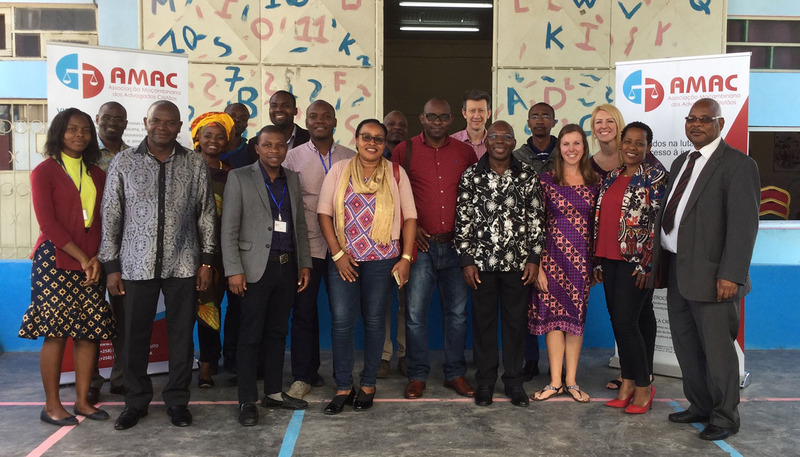 Community leaders also attend the training, alongside the school’s senior staff – and ends with a school developing a child protection policy. With your prayers, we hope even more schools in Gulu will develop more effective child protection approaches. 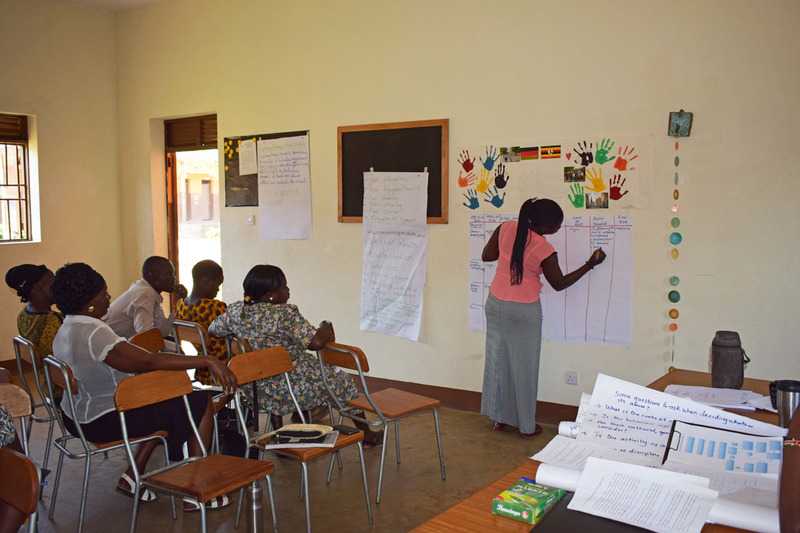 We’re helping teachers and community leaders in Gulu, Uganda, identify signs of child abuse. 1. More local trainers to come forward to help Linda in her work. Pray for the right people, with the right skills, and with huge hearts to protect children from harm. 2. Energy, wisdom and strength for Linda in her work. Pray that she knows the encouragement of your prayers when she talks to schools about why child protection policies must be developed and put into practice. 3. The children who are being abused. Please pray for the abuse to stop, and that the children sense God’s love for them in their lives. 4. The adults who commit abuse. Pray that they understand the darkness of their actions and are guided towards a new life in which they never hurt a child again. Through your prayers today, we believe that even more schools in Gulu will take child protection more seriously. We know it’s possible. You can play your part today in protecting children you will never meet. 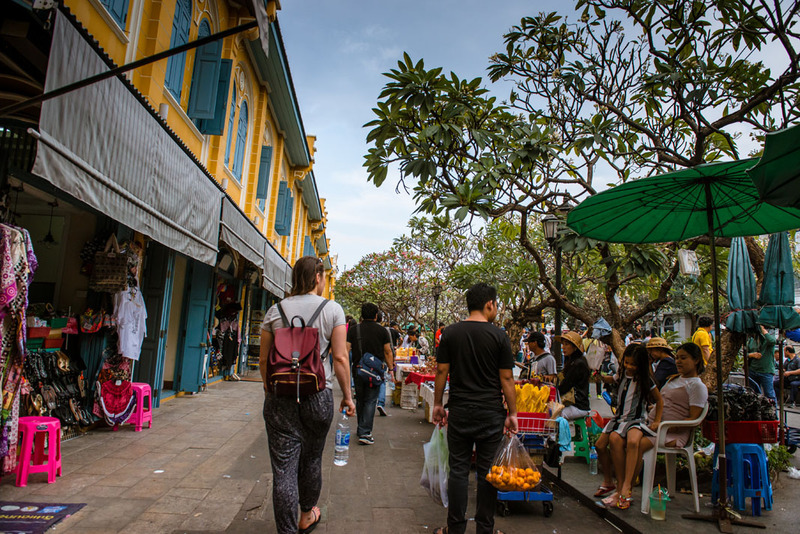 Ashleigh Gibb shares how she’s learnt to maintain her spiritual health as she shares God’s love in the bars and brothels of Bangkok’s red light district. They seem contradictory: strong spiritual health and Bangkok’s notorious red light district. But for BMS World Mission worker Ashleigh Gibb, who has been serving there for the last two years, staying spiritually healthy is one of the most important parts of her calling. Ashleigh works with BMS partner NightLight. She goes into bars and brothels to provide the women working there a safe space where they can share their stories and be themselves. She spends every day with victims of human trafficking. She is surrounded by women who sell their bodies because they have nothing else to sell. Understandably, it takes a toll on her spiritual strength. So Ashleigh takes action to keep her spirit healthy, so she can get through every day serving these women in the best way she can. We asked her to talk us through a spiritual workout, so you can keep your spirit as strong as Ashleigh’s. Ashleigh Gibb stays physically and mentally strong while working in one of the world's most unloving places. You don’t have to go to the gym as often as Ashleigh does, but why not try out something like pilates or a fitness class? It’s a great way to strengthen your physical body, as well as keeping your mind focused, so you can spend some time in prayer without distractions. It might be difficult at first. But if you create a routine and stick to it, you’ll soon find that it becomes a natural part of your daily life. Try to find a regular time when you can work on your spiritual health in whatever way you find helpful. 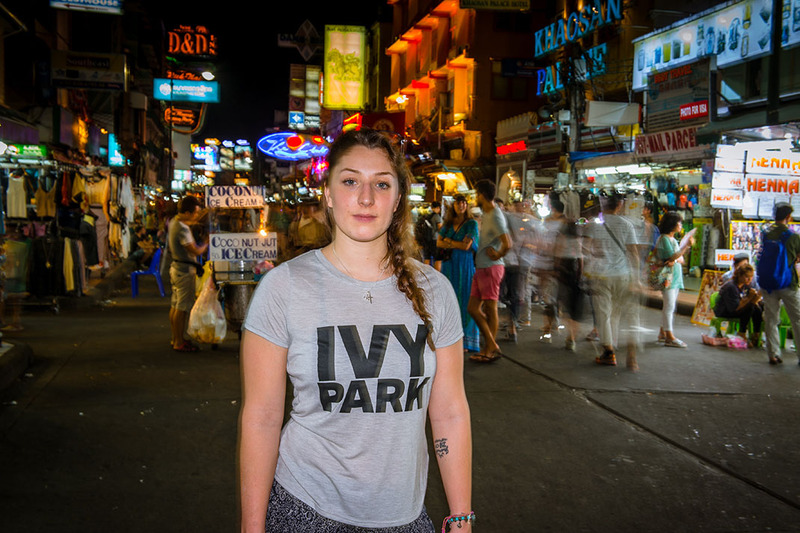 Ashleigh Gibb keeps her spirit healthy, so she can always support the women she meets in Bangkok's red light district. Find someone you trust and who you can rely on as your spiritual mentor. Be open about your spiritual journey with them and encourage them to be open about theirs with you. Hold each other accountable when you make commitments in your spiritual lifestyle and tell each other when you are struggling. It’s easier to do it together. Be open about your mistakes and learn from them. You’ll only hurt yourself more if you keep them shut away and refuse to grow from them. Use them to improve your spiritual strength, and, like Ashleigh, you will be able to help others improve theirs. 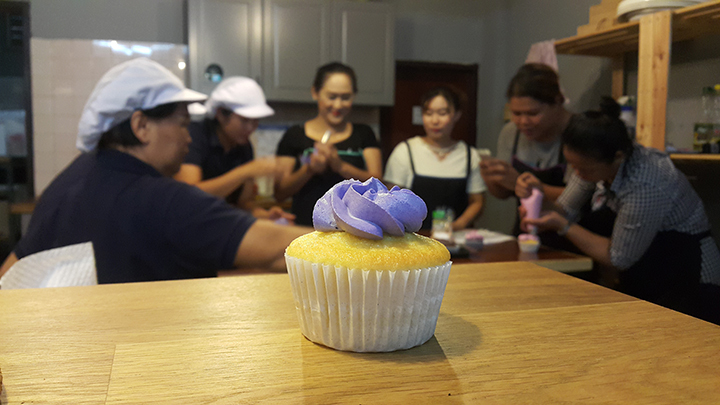 Pray that Ashleigh’s spiritual strength continues to grow as she continues working with NightLight and serving the women in Bangkok’s red light district. Pray for a brothel Ashleigh goes to regularly. It was recently raided and all the women who worked there were put in prison. Pray that these women are treated fairly. Pray for the Thai Government, that they will be able to crack down on human trafficking while still preserving the dignity of victims. Pray for victims of human trafficking worldwide, that they will receive justice and be liberated. The Church in France has long faced hostility. After decades of hard work, one BMS couple is seeing people begin to open their hearts to Christ. John and Sue Wilson have been serving in France with BMS World Mission for 30 years. When they first arrived, they were treated with hostile suspicion. 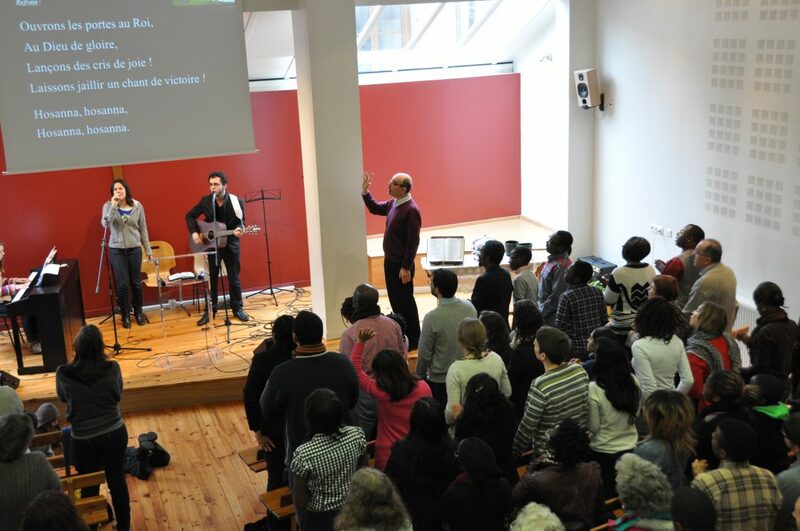 But after years of dedicating their lives to the Church across France, they are seeing fruit, and more people than ever before are coming to Christ. Here’s how John and Sue’s experience in France could help you and your church engage more people. The Wilsons committed themselves to using these four ideas in every aspect of their work. Now, their church is bigger than ever before. Could you create a prayer network that is regularly praying for your church? The benefits could be breathtaking. It’s not unusual for churches in France to be investigated by the Government. So, it’s natural that, when a woman who worked for the French Government rang up the Wilsons’ church, they were suspicious. “She had bought a Bible in a shop and didn’t understand it,” says John. “So, she contacted me at the church and asked if she could come to our Bible study.” She could have been spying on the church. John could have turned her away. But he didn’t. Next year, she’s planning to be baptised. It’s easy to distrust new people, even if you don’t realise you’re doing it. By making a conscious decision to open your heart to new people at your church, you can create a space that is safe and welcoming for all. For new Christians, getting more involved in church can be a daunting prospect. It’s easy to be put off by people who are confident in their faith. John and Sue saw this happening in their church and decided to do something about it. “The existing Bible study is more for mature Christians,” says Sue. “People who have just come to faith don’t feel able to ask what they might consider obvious questions.” The Wilsons set up another Bible study group specifically for new Christians to explore their faith. And they’re seeing real results! “It’s really difficult to keep time with them because they spend ages afterwards just chatting together and talking about things,” Sue says. They even ask for homework! Why not set up a group in your church that specifically makes space for new Christians? It’s a great way to ensure that they have a safe space to ask questions without feeling alienated from the rest of the church. John and Sue have seen powerful changes in France. But they’ve been working there for 30 years. Don’t lose heart when you don’t see results straight away. It might take a while to see a real difference in how people are engaging at your church. But keep attempting for God and expecting from him. It might take months, it might take years, but if we humble ourselves, pray and make space for God to work, he will be faithful. Just ask John and Sue! 1. The Wilsons, that they continue their work in France with the same determination and enthusiasm that they have for the last 30 years. 2. French people who may find it difficult to profess their faith due to France being a secular state—that God would encourage them and empower them with love. 3. BMS mission workers Christine Kling, Claire-Lise and David Judkins and Philip and Rosemary Halliday, who, like the Wilsons, are currently working to strengthen the Church in France. 4. UK churches who might be struggling to engage members of their church family. He’s shaken a lot of hands, remembered a lot of names, and travelled a lot of miles since he left Malaysia to take up the position of BMS World Mission General Director. Now that Kang-San Tan has been in the role for a year, we thought it was a good time for a chat. Let’s look back to when you first arrived at BMS. What was it like for you? I think it was a bit overwhelming because of the diverse aspects of BMS work, not only with our colleagues in Didcot, but also with our mission personnel and UK churches, and just trying to get my head around the long history of BMS. My colleagues really helped me to get to know each aspect of the work, and I’ve really appreciated that. What was it about BMS that attracted you to the role of General Director? I was converted in a small Baptist church in Malaysia, and in a way we, as in many other Asian and African and Latin American countries, trace our roots back to the Baptist missionary movement. It is quite moving for me in the sense that I have worked with various aspects of Asian mission as a theological educator. So, when I was invited to come and serve with BMS, it was almost like a full cycle back to my Baptist roots. To be seeing God raising a non-western mission movement, and yet to serve with a historic mission society, reflects the sovereignty of God and also reflects the changing Christian mission. It points to an exciting future, not just for me personally, but for BMS and the wider Church. We’d really love it if you watched the video above and shared it with your church. To download it, all you need to do is hit the button below. How has God supported you over the past year? Psalms 127: 1 says that unless the Lord builds the house, we all labour in vain. There is a danger that we rely, as leaders, on our own wisdom and strength, but really it is good to be reminded it is God’s work, done in God’s way and in God’s timing. And for me personally, I have been reminded that we need to rely on the Spirit of God, God’s wisdom and God’s resources. 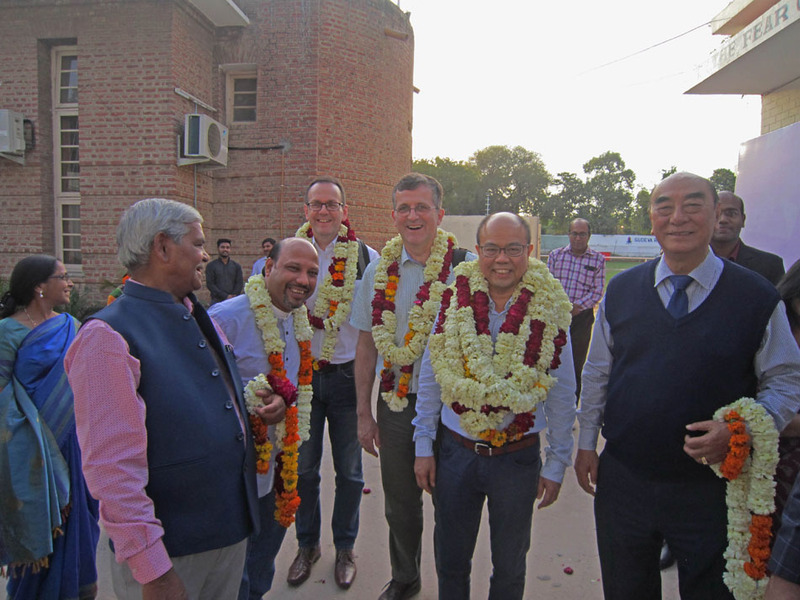 As you can see, Kang-San Tan received a tremendous welcome when he visited India earlier this year. Aside from visiting UK churches, where else have you been in the past year? Well, in February I went to Kolkata, and in May I visited Lebanon to see a little bit of our work in the Middle East, and then in August I visited France. I’m still looking forward to visiting other BMS workers in Africa and in Latin America. What piece of BMS work has most impressed you? In Kolkata, I was introduced to BMS-supported work that seeks to plant indigenous discipleship making movements among a major group of Hindu communities. A lot of this work has grown and existed, not only because of the passion of our Indian churches, but also a sense of partnership from our UK churches. 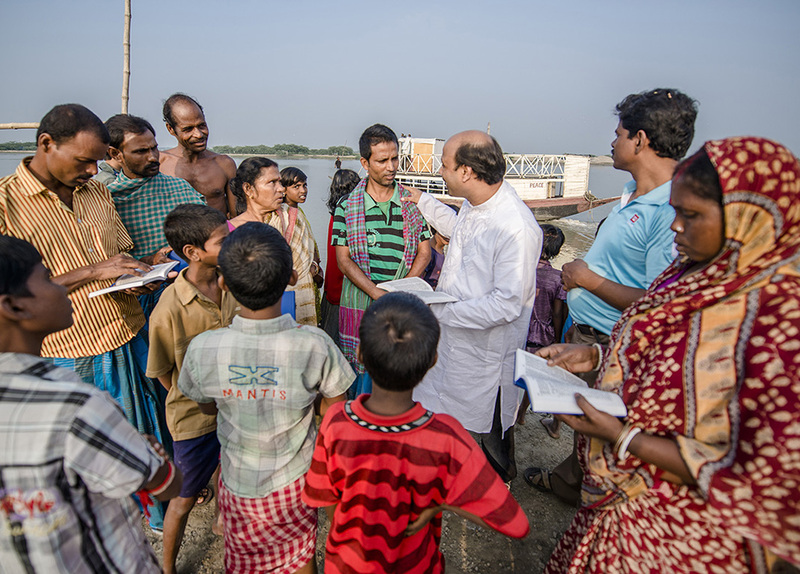 We were on a boat in Kolkata and went out into a remote Hindu community that has no church. I met some young believers, many of whom have been Christians for just a year or two, and they’re leading fifty small groups. Many of them have this passion, a sense that they have received the gospel, not because of their own merit or good work, and they are passionate to serve Christ. 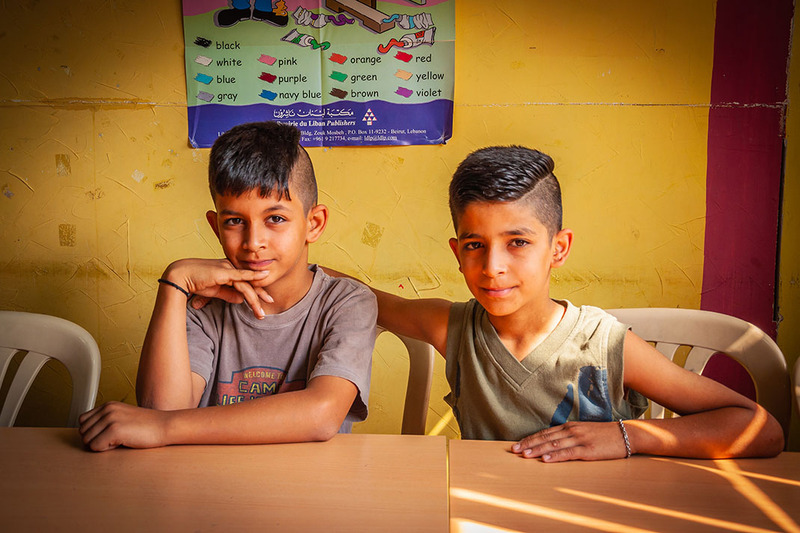 Kang-San Tan visited Lebanon where Syrian refugee children like Gabi and Maher are getting their education back with your support. Can you tell us a little more about the experience of visiting Lebanon? We heard stories of people opening their homes to Syrian Muslims who were strangers, who were former oppressors and enemies. There were many practical expressions of Christian love demonstrated by Lebanese Christians. Many of them I visited are much poorer, and have far less, than many of us who live in western societies. I think it is a challenge for me, and for us Christians in the West, as we think about groups of migrants that are flooding into Europe who are our neighbours. Let’s look ahead to what’s to come for BMS. What would you like to say to our supporters? Over the past year, we’ve been able to look at our five-year strategy and bring together some reflections and lessons. But in the coming 24 months, BMS will be engaging in a process of consultation with our staff, Trustees, BMS Council, mission personnel, our partners globally, and closely with our supporting churches. Watch this space as we begin to unfold a process of consultation so that in our vision for the future, new frontiers and priorities, we don’t neglect our historic work and our historic partners. We hope that you are excited to be involved with BMS in this re-envisioning of the future together, for the growth of God’s mission, both locally and globally. One of the many ways Kang-San Tan has been meeting people is through BMS Café events. How excited are you about meeting BMS supporters and our supporting churches? I think I’ve spoken at over 20 churches so far, and each year I’m looking forward to visiting another 20 more. I think BMS is really a mission that belongs to our Baptist communities and we can’t do the work that we do without that close partnership of our Baptist communities. And so, I want to say thank you, not only to churches, but to the many of you who are prayer supporters. Please know that your partnership in the gospel is so vital for us to continue our work, to impact the nations, to see one million live transformed. Please know that our prayers and your support are an integral part of our work for mission. And finally, what can people pray for? Please pray that we do not run ahead of the Holy Spirit, nor do we lag behind, not taking risks or pioneering new work. So, I ask you to pray for the BMS leadership, to pray for a good sense of teamwork and community work, but also not forgetting the cutting edge of mission. BMS is a ministry of over 200 years and yet we are excited that we are still pioneering into new frontiers of mission today. So, join us in this exciting venture of being a missional community, which is not just for BMS but for every church and for every disciple of Jesus Christ. BMS World Mission is responding to the situation in Indonesia, where over 1,500 people have died after an earthquake and tsunami struck. You will have seen images of the devastation on the island of Sulawesi, which was hit by a 7.5 magnitude earthquake on Friday. Access to the affected areas is challenging for responders due to damaged bridges, landslides and fuel shortages. The official number of people killed in the disaster is expected to continue to rise. Many of the deaths happened in the city of Palu. BMS has been communicating with partners in Indonesia in response to the tragedy. You can help today by joining us in prayer, and you can also make a donation at the bottom of this article. – Please pray for the people of Sulawesi who are suffering unimaginable grief right now. Pray that they have the basics of food and clean drinking water, and medical help. – Please pray for the first responders as they search for survivors. Pray they have shelter themselves and are kept safe as they work in dangerous, very difficult conditions. – Please pray for the partners we’ll be supporting. Pray they are given all the resources they need from agencies and governments from around the world. – Please pray for the long-term response. Pray that people will remember Sulawesi in the months and years to come, and that this city and the surrounding area would recover from this tragedy. 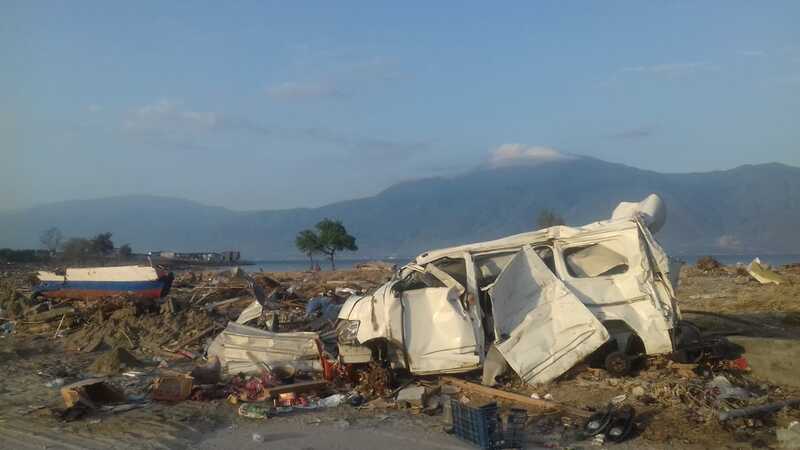 “Your prayers are crucial at this time, so please continue to pray for people in Sulawesi,” says BMS World Mission Relief Facilitator Rachel Conway-Doel. We’ll bring you updates on how BMS is supporting the response in Sulawasi. To make a donation to the response, please click the button on the right. Thank you for your prayers and generosity in this most traumatic and difficult of times for people in Indonesia. The power of prayer is needed more than ever in North Korea. You can play your part today. The Holy Spirit is moving in North Korea, and it is incredible. Christians are worshipping there, praying there, and sharing God’s love there. And yes, the demonstrations of faith may well be monitored and contained, but people are following Jesus. They’re doing so with tremendous courage and belief, often alone, hidden, or under the gaze of an observer, cut off from the global community of Christians we’re so privileged to access. 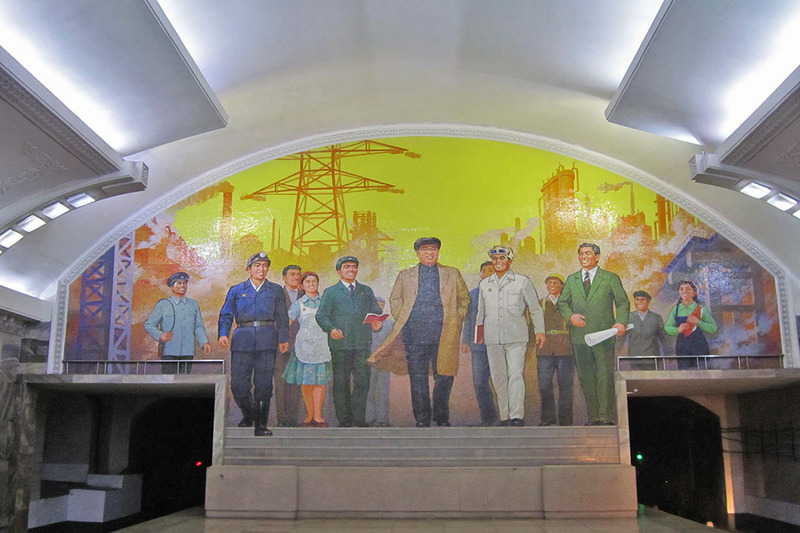 What you can see below are images from North Korea. Look at the streets, the metro and the buildings, and imagine what it would be like to be a Christian there. Then read the prayers. Read them aloud, to your friends, or in church. Pray wherever you can, just don’t let them go unspoken. Don’t let your brothers and sisters in North Korea feel alone when they’re not, and don’t let the darkness stop others from seeing the light of Christ in their lives. Pray for North Korea today. How amazing would it be for the Word of God to be preached one day on this riverbank in Pyongyang? Please pray for opportunities for people to speak Jesus’ name and share his ministry without fear. Pray that the Bible is read and understood, and that it reaches people yet to hear the truth of our living God. So many people in these homes have yet to hear the good news. Pray today that would change. Pray for thousands of people to accept Christ into their hearts, just as thousands did in Pyongyang in the early 20th century. Pray for the Holy Spirit to sweep through North Korea’s capital city and beyond, liberating people in the freedom that comes with following Jesus. Pray that people would come to use the Bible as their source of truth. 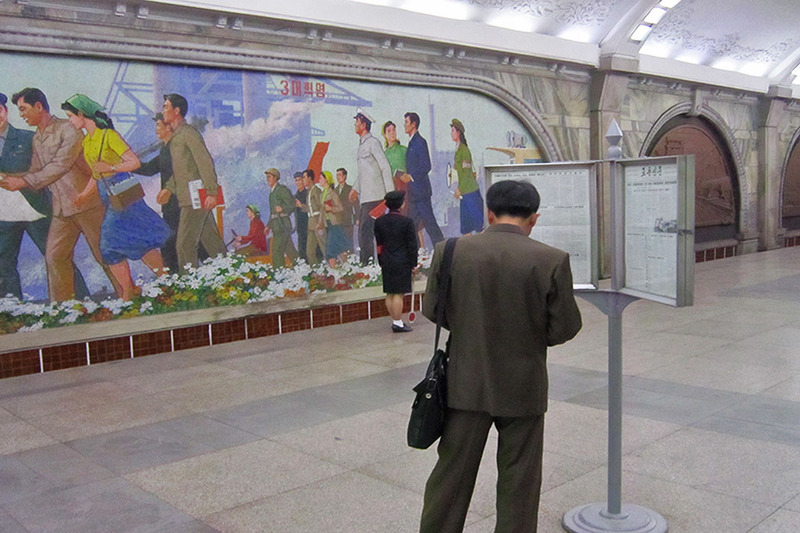 Please pray for encouragement for the Christians who want to worship openly in North Korea. Pray that they would be kept safe, and would feel the freedom of rejoicing that you feel in church. 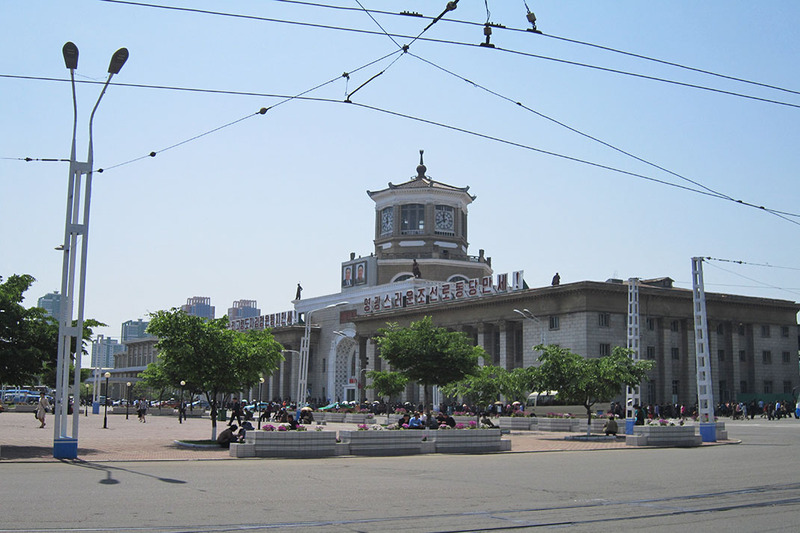 May Pyongyang Railway Station one day become a start point for people wanting to share the gospel in North Korea. Pray that the leaders of North and South Korea would repeat their handshake of earlier this year. Pray that both nations would pursue a peaceful relationship that would allow families separated by the border to become whole again for good. 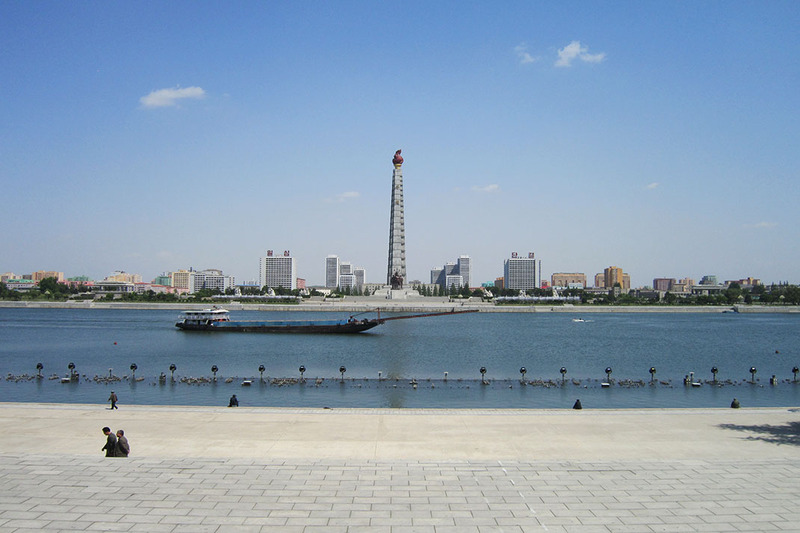 Join us in praying for economic prosperity for the people of Pyongyang and beyond. Pray for economic development for North Korea, one that is sustainable and ensures people have plentiful access to food and healthcare. Pray too that leader Kim Jong-un would accelerate his country’s focus away from the military, and towards developing the economy. Pray that people who are sick do not suffer from the sanctions imposed on North Korea. Pray that medical supplies are plentiful, and that aid workers are not restricted in trying to reach people who need help. 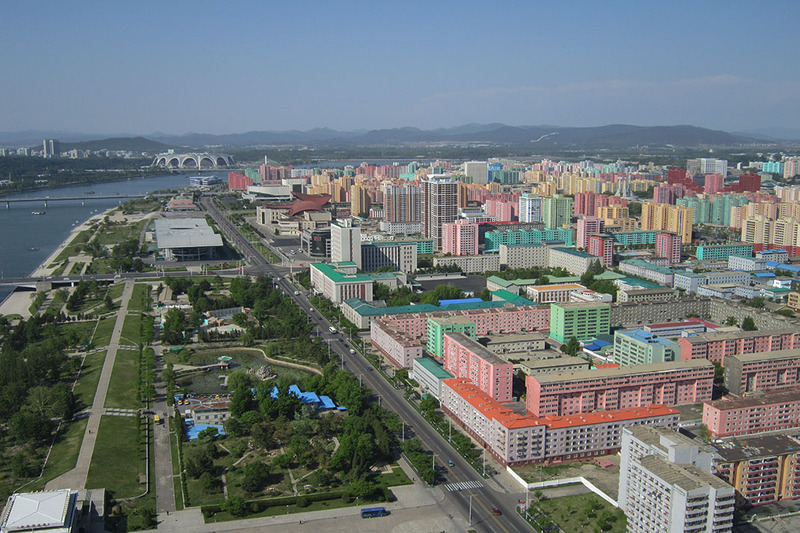 Join us in praying for students who want to leave Pyongyang to study overseas. 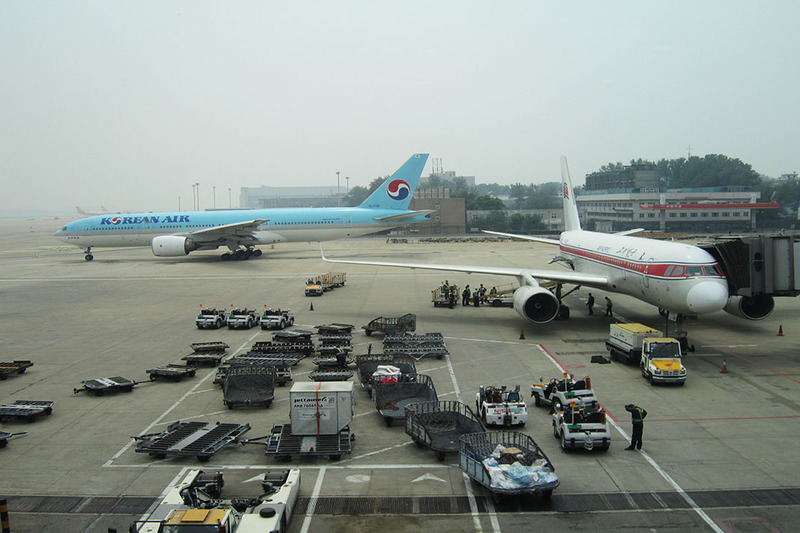 Please pray for North Korean students who would like to travel abroad to further their studies. Pray that travel restrictions would not be imposed upon them, and that they would be welcomed into other nations and classrooms with open arms. You can hear more about what God is doing in North Korea by signing up to our Project Cyrus prayer network. There may even be an event coming up soon near you, so find out more today. And while you’re here, please share this article with your friends and ask them to pray for North Korea. Let’s start a revival of hope together. Atheists, people living as slaves and the future of the UK can all be helped by you today. Please read on as we focus our prayers on Europe and its people. Whatever your position on Brexit, it’s clear that prayer is needed. So, let’s leave our personal views to one side, the barbs we’ve heard and possibly spoken, and pray for healing and a way through all the confusion. • Pray for families and friendship groups with positions that clash. Pray that Brexit would not divide them, and that opinions would be listened to. • Pray for an end to bitterness, personal attacks and recrimination. Pray that the starting point for discussion is respect. • Pray for God’s will to be done. Pray that he would guide political leaders into creating a better, fairer, more peaceful Europe. One that he wants for all his children. 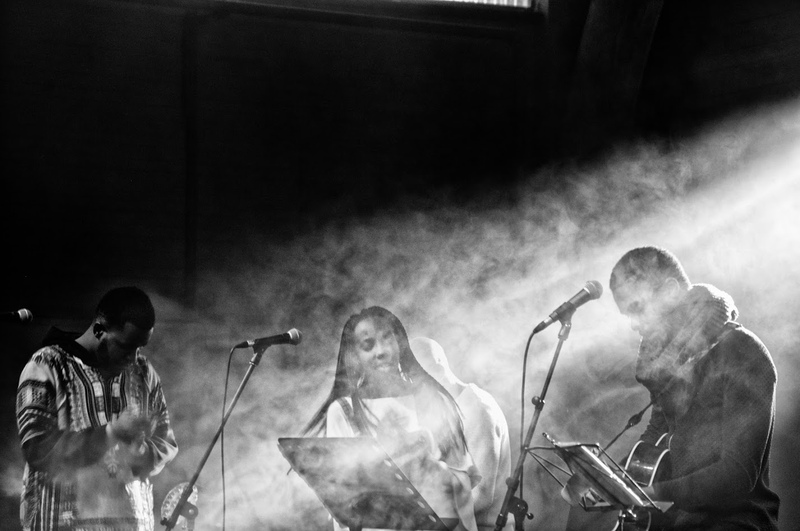 • Pray for God’s continuing provision and opportunities for BMS World Mission’s work in Europe, and a political landscape going forward that is conducive to building his kingdom. You might have unknowingly passed a slave today. There are thousands of people being exploited in the UK as you read this –perhaps washing a car, tarmacking a drive, or painting a shopper’s nails in a salon. They’re working exceptionally hard for long hours, being paid a pittance and their health and safety are often disregarded. But you, your friends and your church can show them that they’re not ignored. You can show them that they are loved, and they’re loved by the one who loves you. • Pray for freedom for the captives and that God would use his Church to break the chains of oppression. • Pray that those who are trapped in modern slavery would sense Jesus’ presence in their lives; that they would draw strength from him, and know that he is with them. A victim of modern slavery might have washed your car, paved your driveway, or painted your nails. • Pray for those who are exploiting people. Pray they too would have an encounter with Jesus, one that transforms them into people who stand up for the oppressed instead of imprisoning them. • Give thanks for Dan Pratt who BMS is helping to raise awareness of modern slavery and to help churches across the UK to fight it. Pray too for energy and wisdom for Dan and his team as they confront the darkness of slavery with the light of Christ. You no doubt know that France is a hyper-secular nation, and that our Christian brothers and sisters face personal and official hostility in openly showing their faith. And yet, people are coming to faith in France. It’s happening because Jesus wants to reach everyone. And it’s happening because of the support you’re giving to BMS church planters. Let’s give them some extra help today. • Pray for our BMS colleagues in France. Pray for a powerful sense of conviction in their work, and for Holy Spirit-touched conversations, with believers and non-believers. • Pray for those who turn to the occult for answers to medical and spiritual suffering. Pray they would know the healing power that only Jesus can give. Pray for those who have turned their back on God and do not believe in the truth of his love for them. Pray that they would have an encounter with him so powerful they would want to share their experience with others. Young people are finding faith in France. Together, we can help more people come to know Jesus. • Pray for BMS workers David and Dorothy McMillan in Amsterdam. Pray that they would continue to build strong relationships with their non-Christian neighbours, and that people would come to know Christ through them. • Pray for children from Roma and Egyptian communities in Albania who face poverty and hardship. Pray they would be nourished with food and learning, and that they have hope of a better future. • BMS is supporting mission in Albania by teaching the children of mission workers at GDQ International Christian School. Pray that the teachers would continue to be faithful in prayer and in seeking God’s direction. Pray, too, for the finances for building work and for a sense of unity during this exciting time for the school. You can help children in Albania know what it feels like to have a happy, fulfilling education. • Give thanks for BMS work in Albania. The BMS-supported team of five Albanian workers and three British workers at Tek Ura (a BMS-founded NGO) has set up a community centre in one of the poorest and most marginalised communities in Europe. Through their flourishing health, social inclusion and education ministries, God has provided thousands of opportunities to be a blessing – and even a baptism to celebrate! • Pray for reconciliation for communities in Kosovo that remain divided by past conflict. Pray too for BMS workers Robert* and Rose* as they build relationships in the country through teaching children. Pray for more children to attend their classes and that Robert and Rose would shine the light and love of God into the children’s lives. Just before you leave, we have one more important request. To get more people praying, please share this article with your friends. It really does make a difference, so thank you. For daily prayer updates, please follow us on Twitter and Facebook. Extreme poverty, war and discrimination are denying children their right to an education as you read this. Your generous gifts to BMS are helping us to confront this injustice. And today, we’re asking you to support our education work with prayer too. Please read, pray and share this article so we can help more children in the countries featured below access life-transforming education. 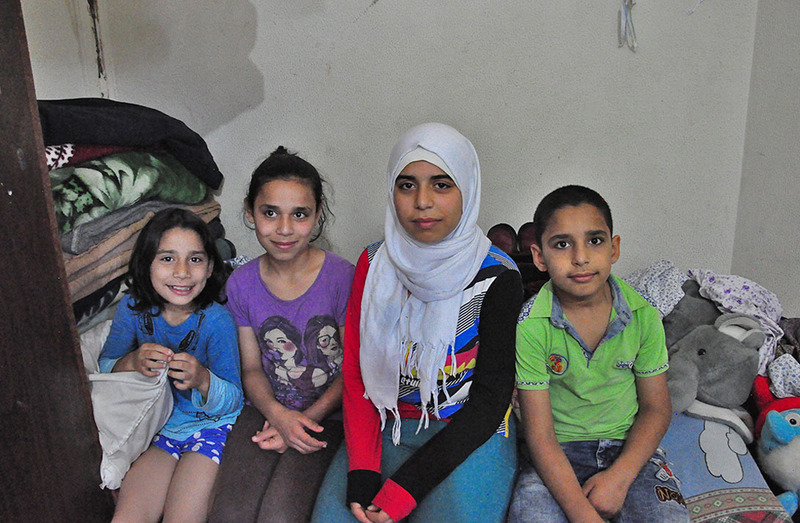 Syrian and Iraqi refugee children in Lebanon are getting an education, thanks to you. Children who have had their lives shattered by conflict are being given hope for the future. Not only are they being taught, they are being treated with the love and respect that every child deserves. • Pray that these children are able to concentrate on what they’re being taught and feel safe in their environment. Pray that they would love learning. • Pray for wisdom and energy for the teachers, as they work with children who have suffered unimaginable trauma. 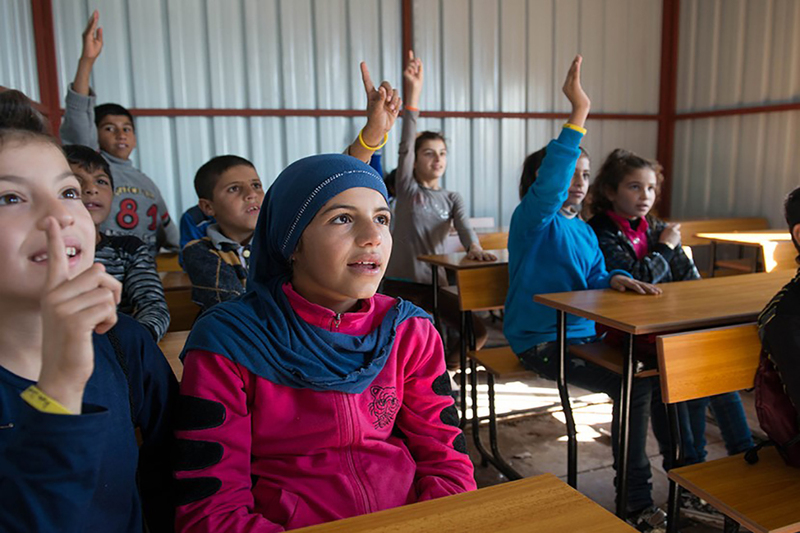 Refugee children are back in the classroom in Lebanon after fleeing the horror of conflict in Syria and Iraq. Preschools across rural, very poor parts of Bangladesh are being supported by you. Boys and girls are being taught about letters and numbers, with BMS worker Louise Proctor training local teachers to give great lessons using free or cheap resources. We’re also helping to educate the children of mission workers at a school in Dhaka. • Pray that the preschools will be a springboard to enable children to keep attending school, and that the children will be encouraged by their parents. • Pray that the teachers will be equipped to provide stimulating lessons for the children, and can access all the resources they need. 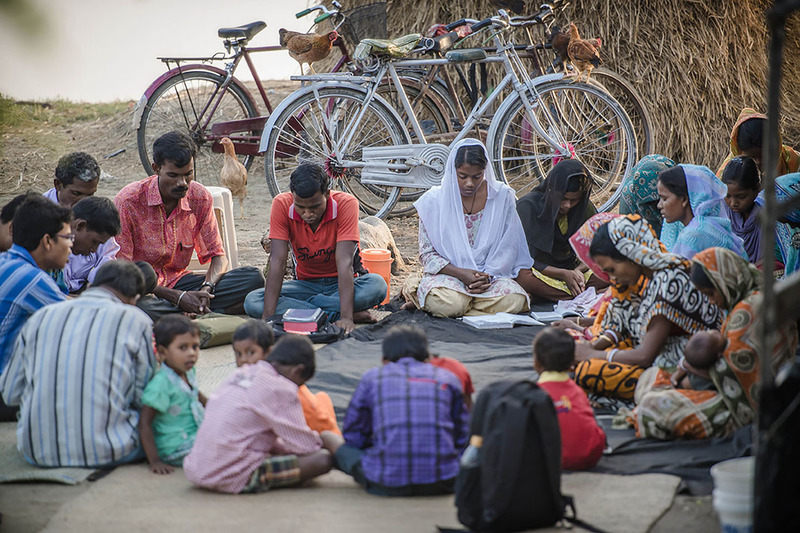 Children in rural Bangladesh are captivated as BMS worker Louise Proctor helps with a school lesson. Underprivileged children and adults from marginalised and minority people groups in Kosovo are being given the chance to learn English thanks to your support for BMS teachers. More than 50 per cent of young people in Kosovo are unemployed and 30 per cent of the population live below the poverty line. • Pray for BMS’ education work amongst marginalised people in Kosovo. • Pray that young girls would have equal access to education, and that our workers would have the resources to help them. 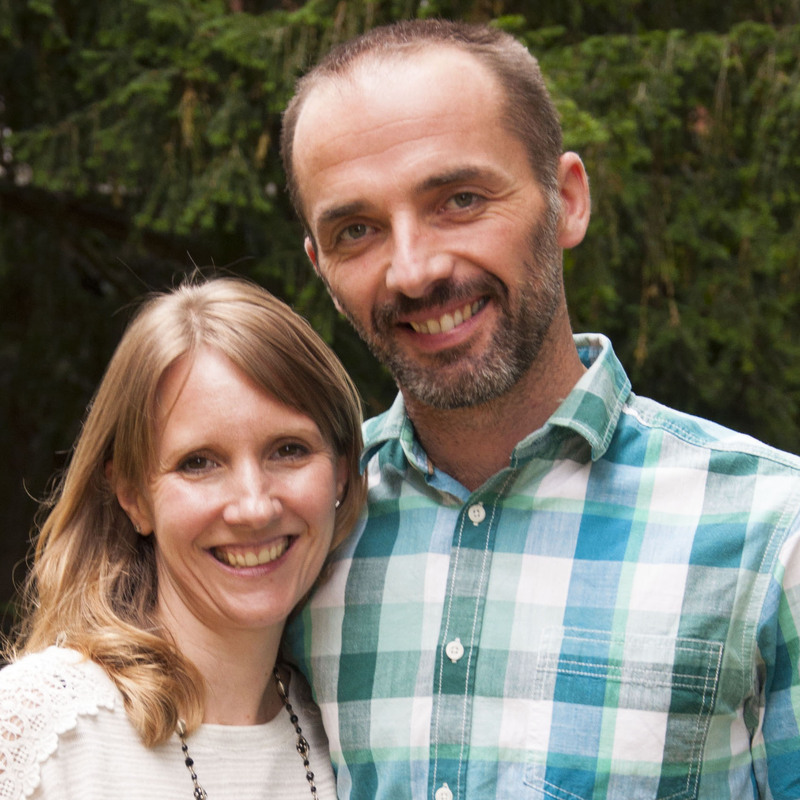 • Pray for God to guide BMS workers Rose* and Robert* as they serve in education in Kosovo. We’re working to help children from Roma and Egyptian communities access education. These children are shunned by Albanian society and live in abject poverty. We’re also helping further God’s mission in Albania by providing education for mission workers’ children at GDQ International Christian School. • Pray for the children who want to learn, but are stopped from attending school regularly because of reasons out of their control. Pray for a sense of hope for them. • Pray for the children who struggle in school because of extreme poverty. • Pray for increased resources for the science department at GDQ in Tirana, and pray for renewed energy for BMS mission workers Chris and Debbie Carter, Mat and Suzanne Gregory, and Jill Morrow. Children from poor families attend an after-school club at the BMS-founded El Puente Baptist Church in the city of Cusco. They’re helped with their homework, learn about God, and play games. • Pray that more children attend the club, and see the value in an education. • Pray that other members of the church get involved and use their blessings to help the children. • Pray for Denise and Melany, who run the club. Pray they would feel encouraged by the difference they are making to young people’s lives. 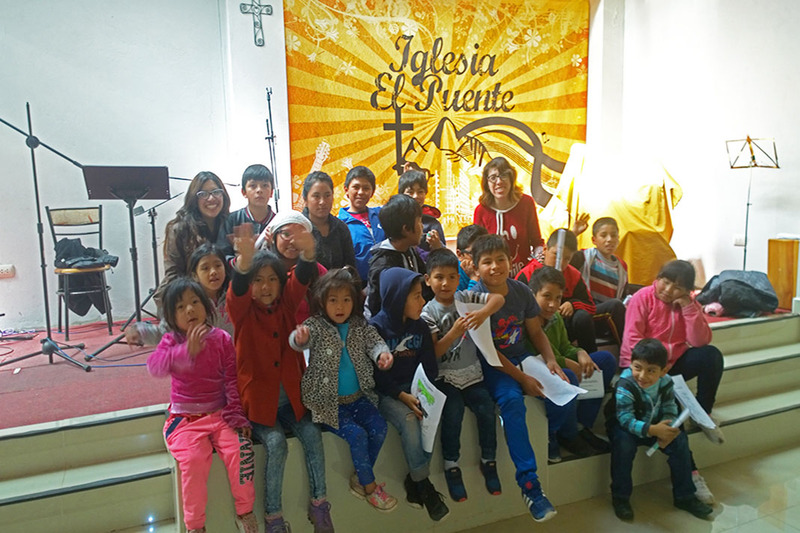 These children have been learning and having fun at a BMS-founded church in Peru. 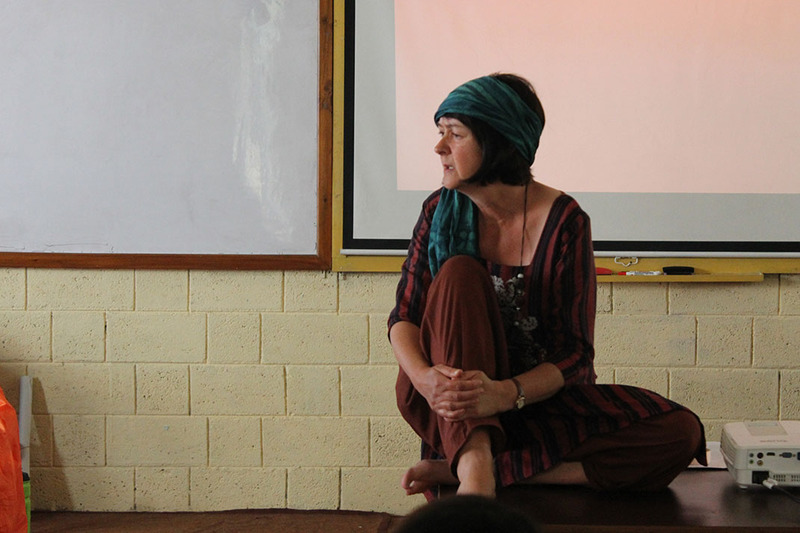 BMS is working to transform children’s lives by improving teaching in Nepali schools. Teacher training written by BMS worker Annie Brown is being rolled out across the country. We do this work in partnership with the Kathmandu International Study Centre (KISC), where mission workers’ children are taught, with BMS support. • Pray for the Nepali teachers receiving training, sometimes for the first time. Pray that they would go on to transform the lives of the children in their classrooms. • Pray that poverty won’t stop children in Nepal attending school. Pray they would have all they need to learn. • Pray for the students preparing to sit exams at KISC, and for the KISC staff as they settle into the school’s new site. Children in Nepal have been learning through new teaching methods, thanks to your support for school teachers in the country. 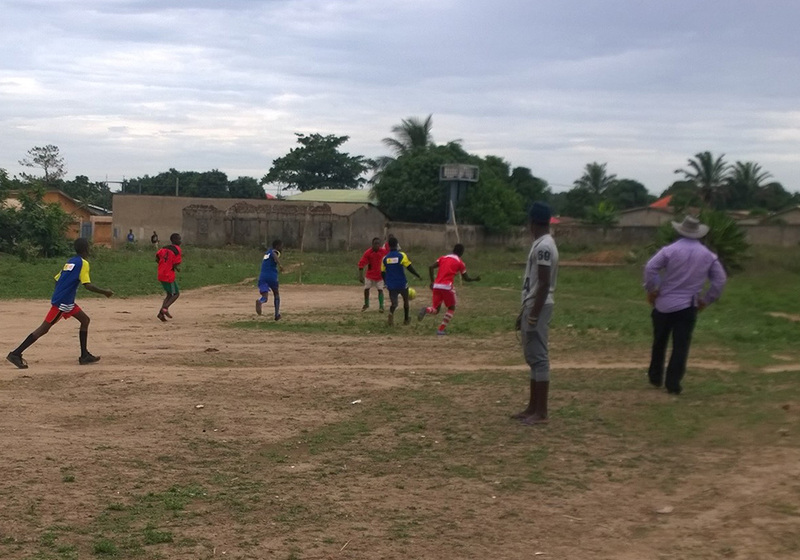 Boys from deprived communities are learning formal rules and structure through a football club set up by BMS mission worker Ben*. Summer classes have also been set up by Ben and his wife Isabelle* – who is a teacher – helping not only the boys, but other children, too. • Pray that the boys would continue to be inspired to learn and develop, and that education and football would give them a great sense of self-worth. • Pray for Ben, that he would have the resources, time and energy he needs to help the boys who come to him. Boys in Guinea are not only improving their football skills thanks to your support, they’re being helped with their schoolwork too. We support teachers in China, helping students at a nursing college improve their English language skills. • Pray the students would feel encouraged in their studies, and form strong friendships with their classmates. • Pray for energy for our workers, in both their teaching and in their personal relationships. Street children in Kolkata are learning reading, writing and arithmetic through the BMS-supported Street Servants team, led by our worker Ben Francis. Our team is working hard to set up a second school, which will give more children a chance to learn the skills they need to change their futures. We also support other education initiatives in India. • Pray that children at the street school would have an incredible appetite for learning. Pray they would sense God’s presence in their lessons. • Pray that the children’s parents would understand the importance of a good education, and would continue to allow their children to attend the school. 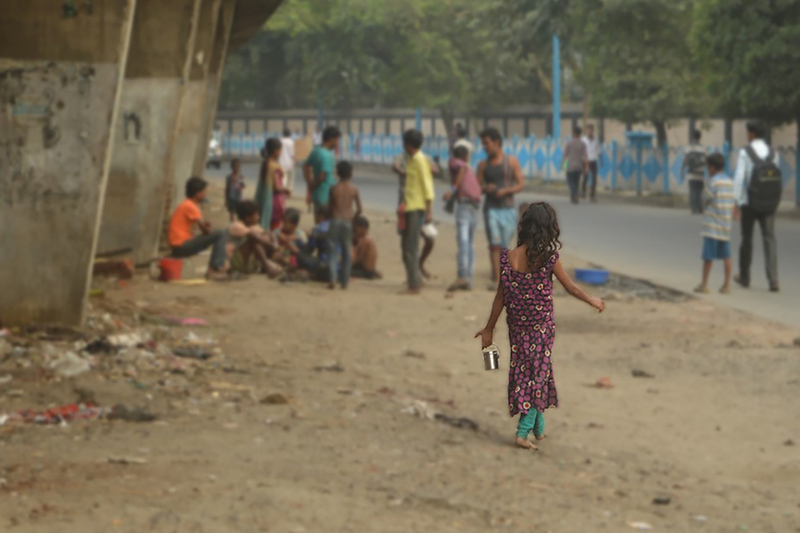 School is being brought to street children in Kolkata, giving them the opportunity to learn. Young children from poor backgrounds are being given the best possible preparation for school through the PEPE preschool initiative started and supported by BMS. Children are being taught important lessons like colours, numbers and the alphabet in creative ways. • Pray that the children enjoy their preschool lessons and want to keep learning. • Pray for the resources to help more children from disadvantaged communities. 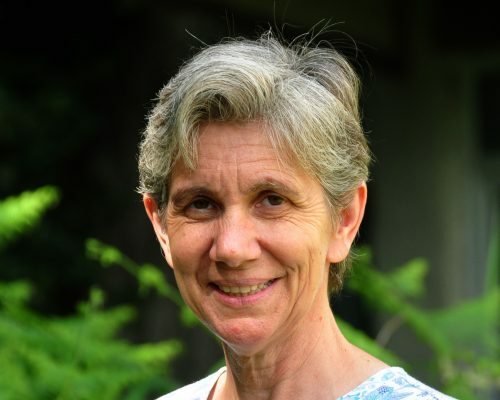 • Pray for BMS worker Liz Vilela, who has been training new PEPE teachers in child protection. Pray that Liz would find ways to overcome any obstacles she faces in her work, and that the teachers put into practice what they’ve learnt. 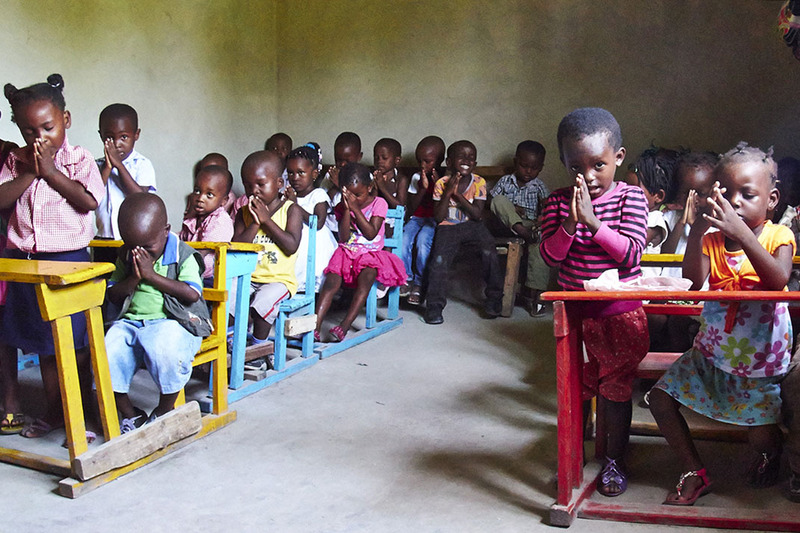 Children in Mozambique are not only being given a preschool education, they are also learning about Jesus. 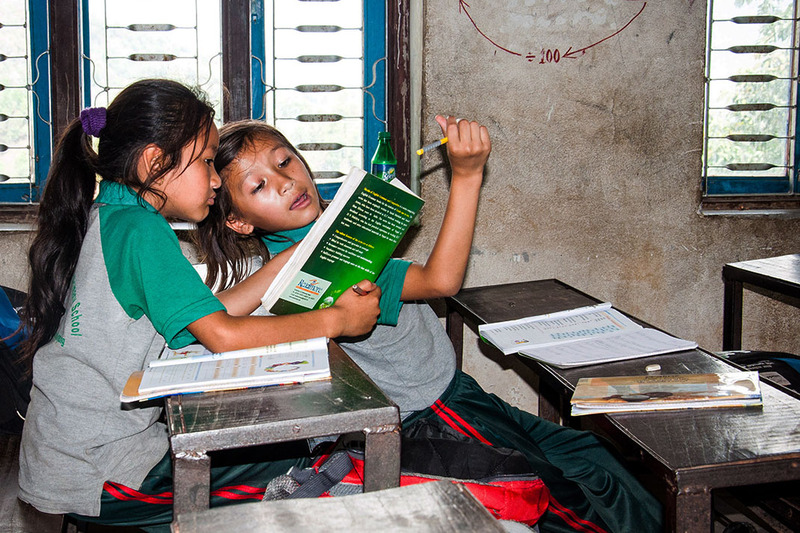 Education is critical in helping children who are poor, disadvantaged and persecuted walk towards a better life – a life that we know is possible. Through your donations and prayers you are enabling us to help children access education. Please share this story right now to encourage others to pray. Inspired by the education work we do? We’re looking for teachers to serve in countries such as Uganda, Afghanistan, Guinea and Albania. You can be the person who helps change a young person’s life for the better. Take the first step by clicking here to find out more. We’d love to hear from you. The land of Machu Picchu, rainforests and stunning mountains is loved by God and served by faithful Christians. All of BMS World Mission’s workers in the beautiful and diverse country of Peru will value your prayers this week. Local Peruvian BMS workers America and Jorge are running social and recreational projects, as well as discipleship programmes for children and families in the town of Chincha. • Pray that America and Jorge receive fresh energy when they are feeling tired. • Pray they are encouraged in their work, and pray for the children they are serving. Pray they experience joy and form strong friendships. 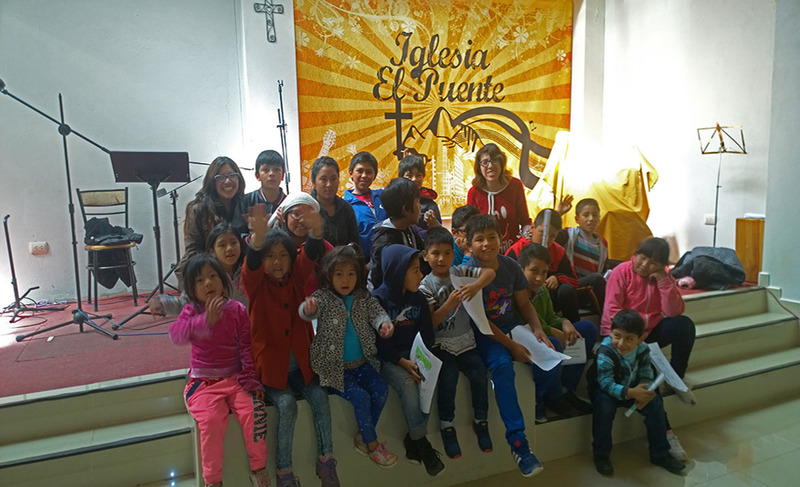 Denise and Melany run an after-school club at the BMS-founded El Puente Baptist Church in Cusco. We rejoice that a church founded by BMS is now being led by Peruvian Christians and we give thanks for the privilege of partnering with them. • Pray for the Holy Spirit to work in Denise and Melany’s lives and ministry. Pray they would feel guided in making decisions, and every day they would sense the joy that knowing Christ brings. • Pray for Pastor Amilcar at the church. Pray for continued wisdom in his work, and that he would feel God’s strength in his meetings and conversations. Children at the after-school club at the El Puente Baptist Church. 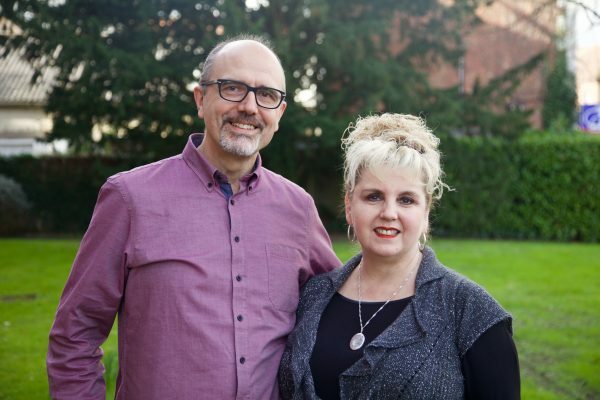 Daniel and Regiane Clark are based in Lima, working at the Baptist Seminary. They also support children and adults in deprived areas, helping to organise medical check-ups with a team of volunteers that includes a doctor, nurse, dentist and a psychologist. 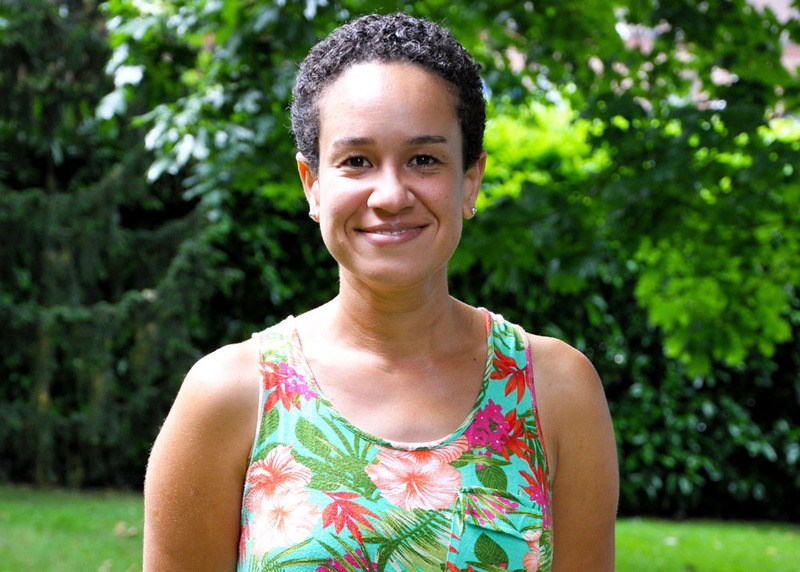 • Pray for Daniel’s teaching at the Seminary to be blessed and for Regiane to sense God’s presence in her administrative work and with student placements. • Pray for the medical work they support. Pray that God would provide the resources needed to help people who are sick. 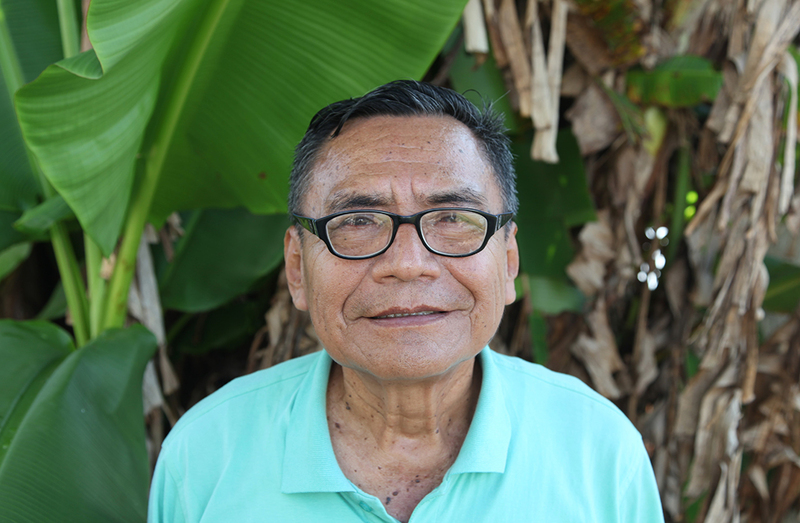 Pastor Luis is serving at the BMS-supported Nauta Integral Mission Training Centre, where Christian leaders from river communities in the Amazon region are taught theology and biblical literacy, as well as practical skills in caring for their land. • Pray that Pastor Luis senses your encouragement today. Pray that he feels a fresh sense of conviction in his teaching, and that doors are opened for him to show the love of Christ. • Pray that supported partner workers Judith and Pedro feel lifted up today, with fresh enthusiasm and energy, and discernment in their work. • Pray for all the students who have attended the training programme. Pray they would lead their communities wisely, reflecting God’s love for them. Baptist ministers Dave and Michele Mahon and their three children are based in the city of Iquitos, in northern Peru. They work with nine churches in their region and support the running of the Nauta Integral Mission Training Centre. • Dave, Michele and their children Jonathan, Ruth and Phoebe, arrived in Iquitos last month. Pray that they settle in well. • Pray that Dave and Michele find local people to come alongside them in their work, and that Dave builds strong relationships with pastors. Laura-Lee Lovering is helping to develop the Nauta Integral Mission Training Centre. As an environmental scientist, she’s teaching community leaders sustainable ways to care for their land. 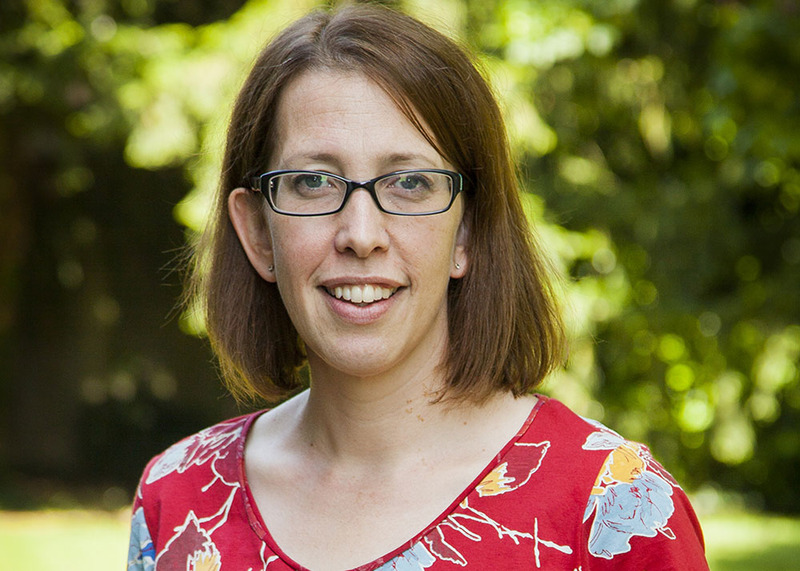 • Pray for Laura-Lee to find extra strength this week as pastors from river communities are trained at the centre. Please pray that more pastors attend the training, and that they arrive safely. • Pray for the pastors training at the centre. Pray they would be inspired by what Laura and her colleagues teach them, and that they would encourage others to come forward and learn. Lori and Neil Brighton are BMS volunteers serving at the Nauta Integral Mission Training Centre. Lori is helping with the centre’s finances, and Neil is helping to redevelop the training course for pastors. • Pray for their Spanish language development so they can become more effective in their roles. • Pray the Holy Spirit would guide them in their work, and they would sense the support of people around the world praying for them. Thank you so much for praying with our mission workers today, and for your continued support of them. For daily prayer updates, please follow us on Twitter and Facebook. Pippa, Toby, Jakey, Ella and Millie Vokuhl fly to Nepal on Saturday with BMS World Mission. Find out why they feel called to mission and what they’ll be up to overseas. 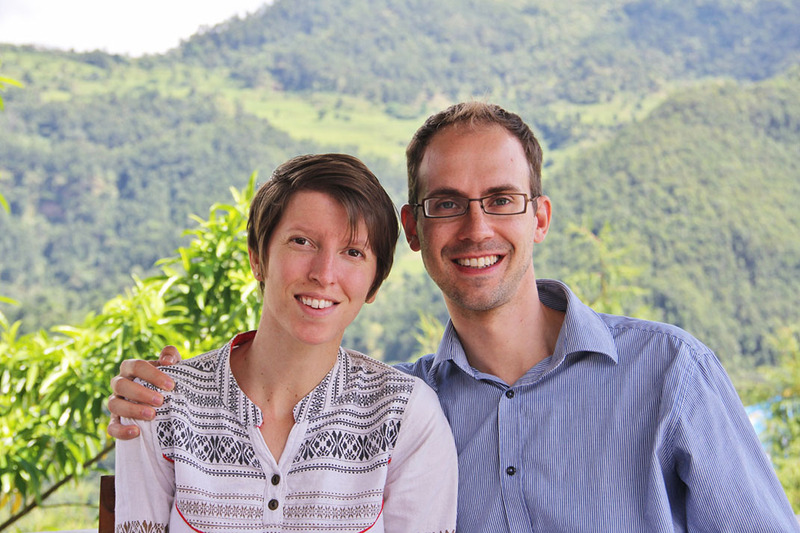 After months of preparation, Pippa and Toby Vokuhl are ready to begin an exciting new chapter of their lives, serving God in Nepal. They are part of Headington Baptist Church in Oxford and have three children: Jakey (nine), Ella (seven) and Millie (three). Amidst packing up their house, saying goodbyes and doing other last-minute tasks, Pippa and Toby sat down with us to talk about the adventure they’re getting ready to embark on. Pippa and Toby, along with their three children, Jakey, Ella and Millie. “I would say yes for both of us – since our teenage years we’ve felt called to work overseas,” says Pippa. “We both worked in separate places overseas before we got married. 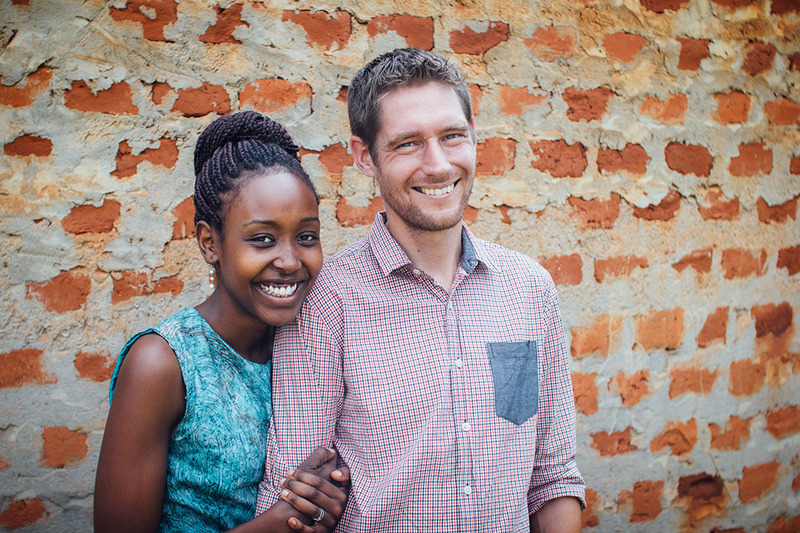 I worked as a physiotherapist in Uganda and Toby worked as a carpenter in Nazareth. How did you decide to move overseas? What will you be doing in Nepal? “My background is in construction management,” says Toby. 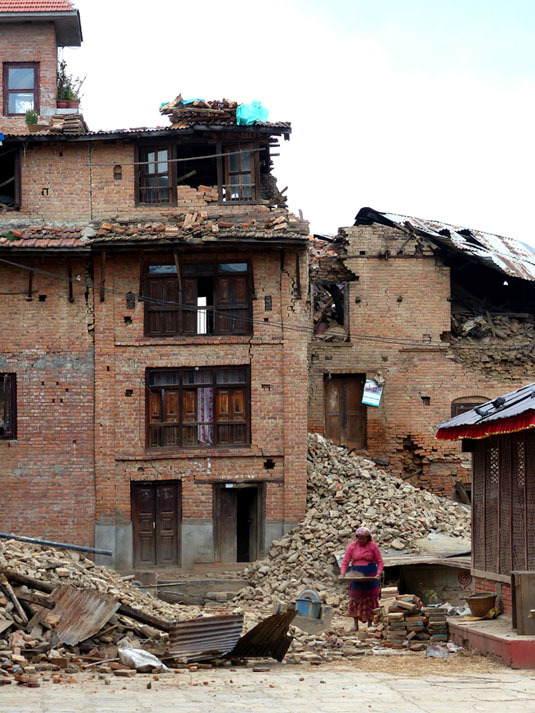 “I will be working with a local BMS partner as part of their disaster response and resilience department, based in Pokhara – there’s still a lot of ongoing work in terms of the reconstruction of housing that was damaged in the 2015 earthquakes. “For me, it’s a bit less clear at the moment,” says Pippa. “Initially when we get there it will be about settling the family in. 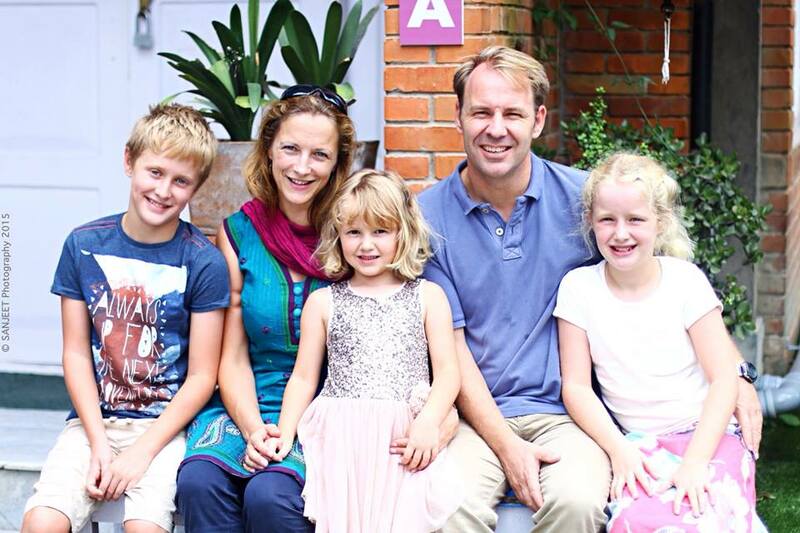 The Vokuhl family will be based in Pokhara, helping with relief work. The Vokuhls were the 'family of the week' on the BBC Oxford radio breakfast show back in November. How did your children react when they found out they were moving? What are you looking forward to when you go? What can people be praying for? “I think pray for general health really, that would be great,” says Toby. “It would be a shame to catch the flu just as we’re getting ready to go out! If you’re an individual and want to commit to giving regularly to support the Vokuhl family, you can become a 24:7 Partner by clicking the box on the right. If you’re a church and want to support the work they’ll be doing out in Nepal, you can become a Church Partner with us by clicking here. Could you be called to mission overseas? From Albania to Thailand, we’ve been in touch with some of our mission workers and asked for their top prayer requests. “Without your prayer support, we couldn’t do our jobs.” This is what one couple serving with BMS World Mission in a sensitive location shared recently. None of us doubt this to be true: without prayer from faithful supporters, the life-transforming work of BMS would not happen. Work like helping to find foster homes for abandoned refugee children on the Thai-Burma border, or saving lives and sharing the light of Christ in the heat and the heart of the Chadian Sahara. There are times throughout the work in Chad where I’ve wondered how I’ve survived, and I can only put that down to your prayers. Pray for Claire, living and working in heat and dust, and in a new and different culture, for perseverance and strength. Pray for the pharmacy that Claire runs, that as a team they would see a real deepening of their friendships. Pray for the continued growth of relationships with local people, for Claire and the rest of the hospital team. 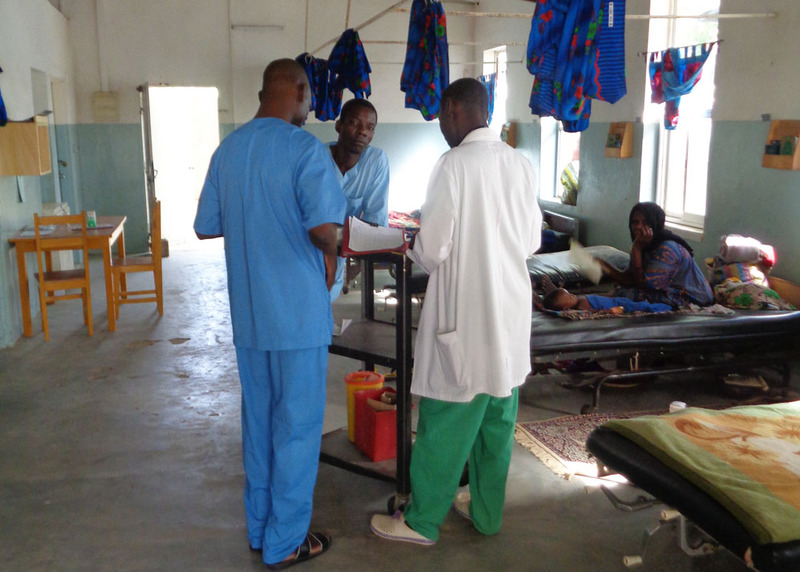 Pray that Guinebor II Hospital would continue to be able to provide life-saving healthcare and also shine the light of Christ in its Muslim majority area. Pray for the medical team as they seek to make Jesus known by serving their community’s medical needs. We’ve had a sense of reassurance that God’s got this in his hands. Mat helps run a series of informal church groups called Eat, Talk and Pray, bringing together people from different backgrounds. It’s exciting to see how these have taken off, particularly amongst men in the community, and there is now an opportunity to develop a more structured discipleship programme as part of this. Pray that the right people would be encouraged to join, and that the gospel would take root in people’s hearts. 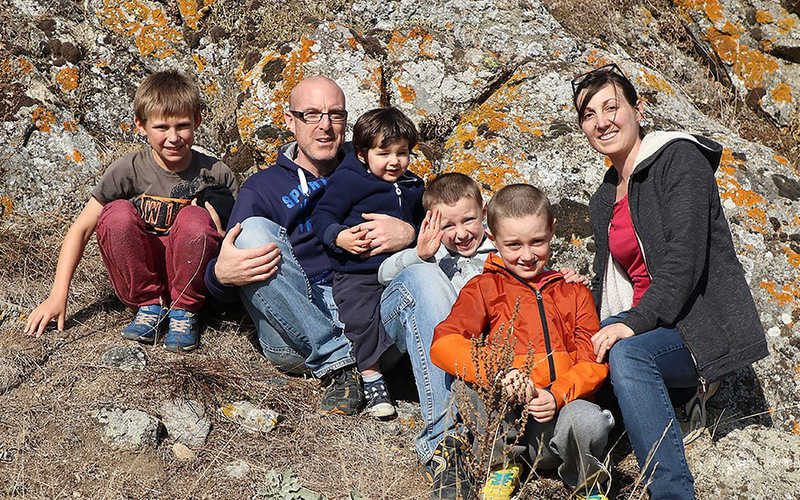 As they return to Albania after home assignment this summer, pray for the whole Gregory family – Mat, Suzanne, Seth and Esther. New jobs and school places will mean significant change for everyone. Pray for a sense of peace and security, that they would know they are in God’s hands. 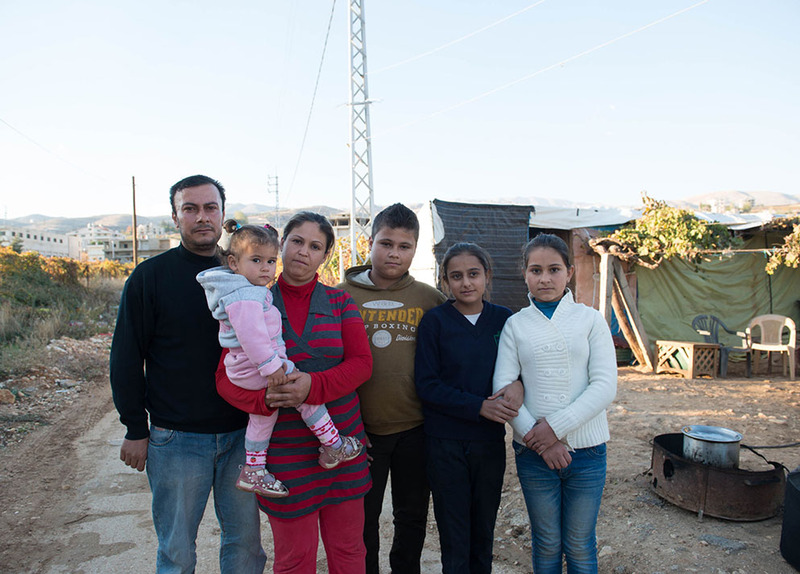 Through the work Mat and Suzanne are involved in locally, vulnerable Roma communities are being reached with practical help and Christ’s love. Pray for the poor in Tirana, and the ongoing BMS work in their communities. Pray that they would have a sense of God at work in their lives. We’re so grateful for all the support, and have felt so encouraged, supported and loved by churches in the UK. Along the Thai-Burma border, thousands of children are abandoned and are being raised in residential care facilities. Pray for more opportunities to place these children in loving foster families. Brian and Lydia are coming to the end of their service with BMS. Pray for them as they seek God’s guidance on what’s next. Pray that they and their son Jesse would settle quickly back into life in the UK. Pray for the work Brian and Lydia have been involved with in Mae Sot, supporting vulnerable Burmese women and children. BMS continues to support this work. Pray that families living in desperate situations would be encouraged and strengthened, and that we would be able to help children to stay with their parents. We’re all together in this work, in this mission. Thank you, and God bless. Pray for the pastors attending this year’s training at the BMS-supported Nauta Integral Mission Training Centre, that they would be equipped to serve in their villages and share the gospel boldly. Laura-Lee and local BMS worker Pastor Louis help run the training centre. 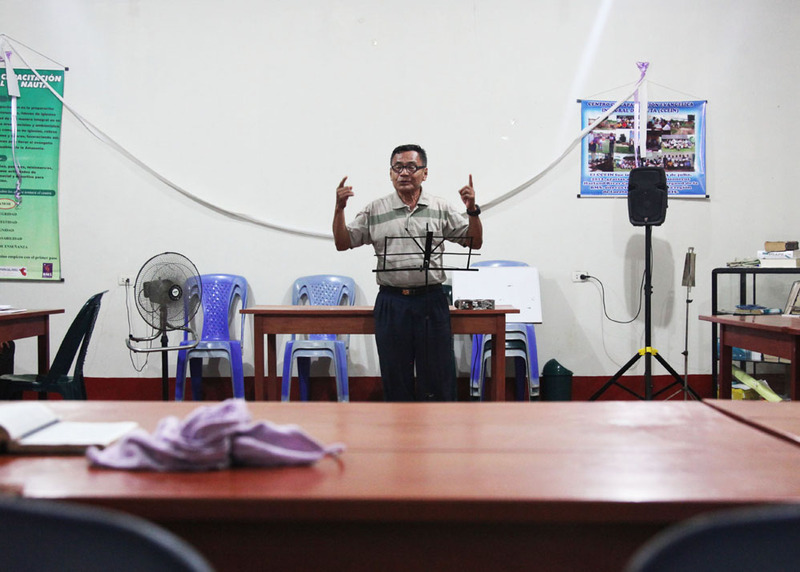 Pray for them, as they serve isolated pastors. 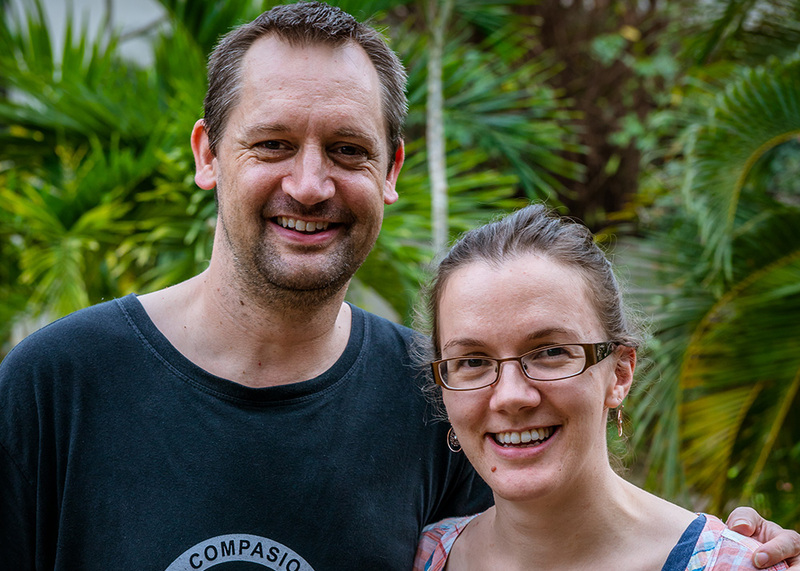 Pray also for new BMS mission workers Dave and Michele Mahon – along with Jonathan, Ruth and Phoebe – as they join the pastoral training team in Nauta. Pray for their ability to learn a new language and live in a new culture. Pray that they may be able to build strong and lasting relationships in Peru. 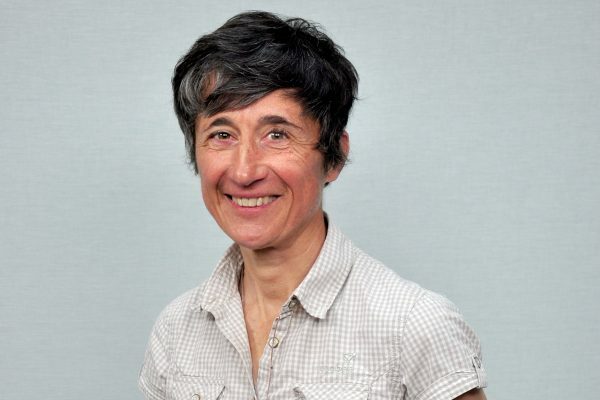 There are several BMS-supported national employees who are crucial to the smooth running of the training centre; we give praise and thanks for the work of the administrator Sara who is moving on, and ask for prayer for those who are taking over. Pray for this handover process, that God would give his peace to all involved, and pray that the centre will continue to have a big impact in the Amazon. Please pray that we would find the right people to come and join us and serve overseas. The life-transforming work of BMS World Mission would not happen without your prayers. This week, we’re sharing some of our most urgent and important prayer needs. Please pray with and for us! From South Sudan to Sri Lanka to Syria, BMS is working in some of the world’s neediest, most fragile and least evangelised nations – and that work is hard. At times, it feels impossible. That’s why we need your prayer. Why it’s such an encouragement and blessing to know you’re praying with us. And why our story this week takes the form of a list of our current top prayer requests – to urge you to keep praying. We can’t wait to see how God answers these prayers! BMS is responding to the needs of vulnerable children following severe flooding in Sri Lanka. 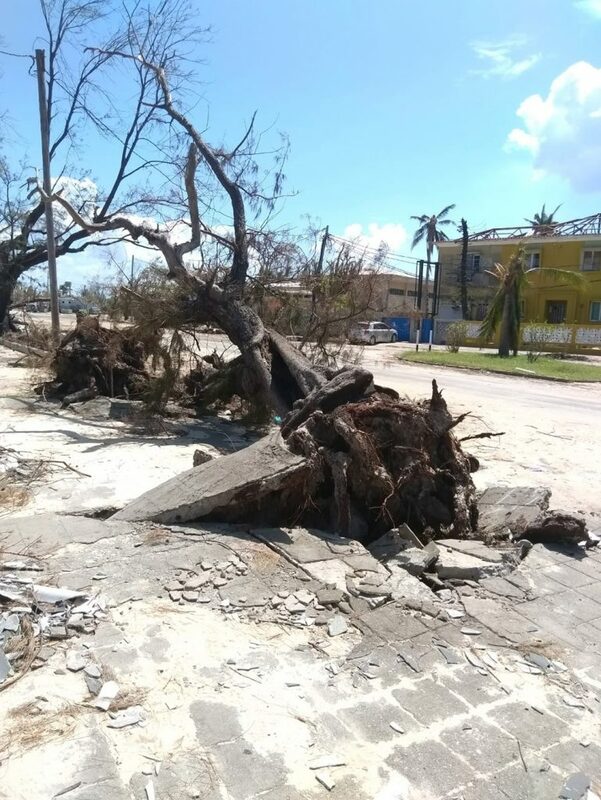 Pray for wisdom and energy for our partner on the ground, and pray for affected communities to be able to bounce back quickly from this disaster. 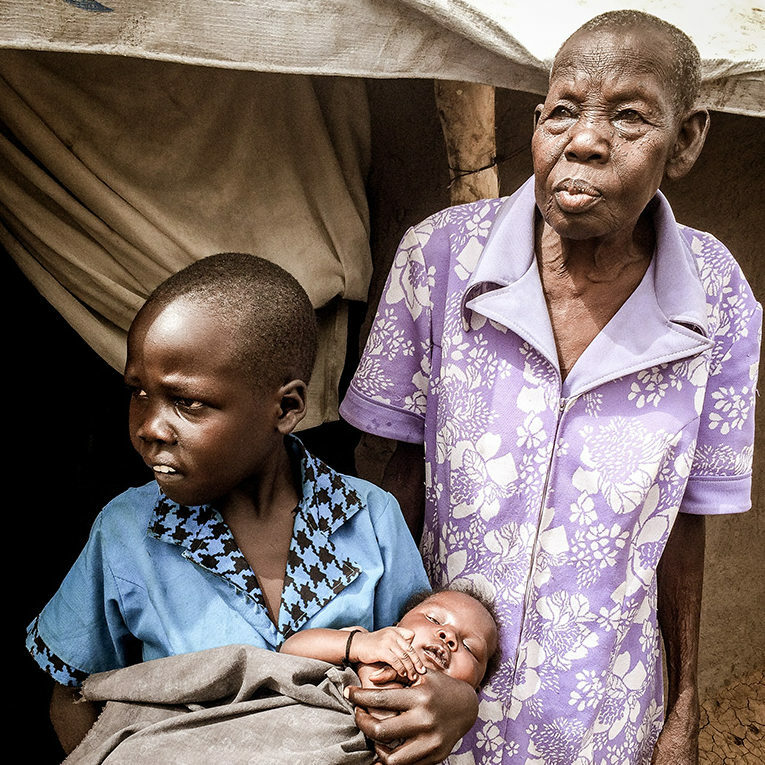 Pray for the development of fresh BMS work amongst people who are suffering from chronic food insecurity in South Sudan. BMS worker Benon Kayanja is among those spearheading this initiative, providing essential supplies to some of the most vulnerable people in the country. We have local workers serving in countries where they are at real risk. Please pray for them – for boldness to live out their calling and for safety and protection as they serve in fragile countries. Thank God for the two new Regional Leaders recently appointed to the BMS team, who will be overseeing our work in Asia, Europe, the Middle East and North Africa. Pray for them to have energy to hit the ground running, so that we can work even more effectively with our partners around the world in the coming months. Pray for wisdom as we seek to work through a very complex partnership situation in Bangladesh. 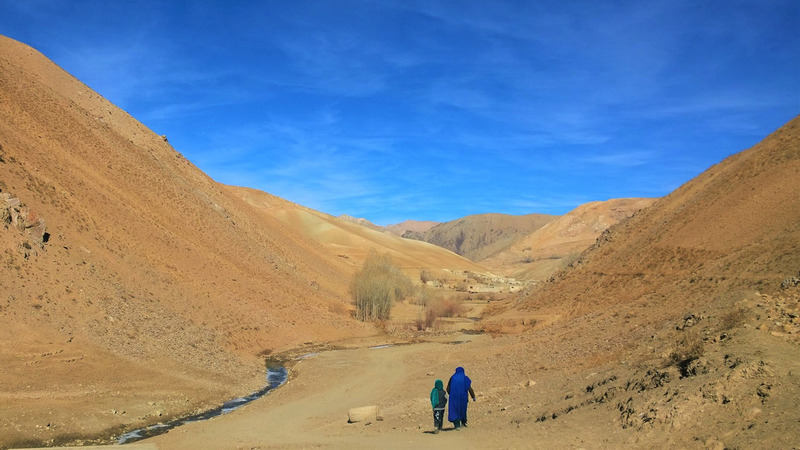 We have submitted a funding application to the Government that would enable excellent, life-transforming work in a tough country in central Asia to continue. Please pray with us for success! We are passionate about our new harvest appeal resource Wonderfully Made and would love to see it impact lots of people. God loves every single one of the million people whose lives we want to see transformed – and that’s what Wonderfully Made is all about. 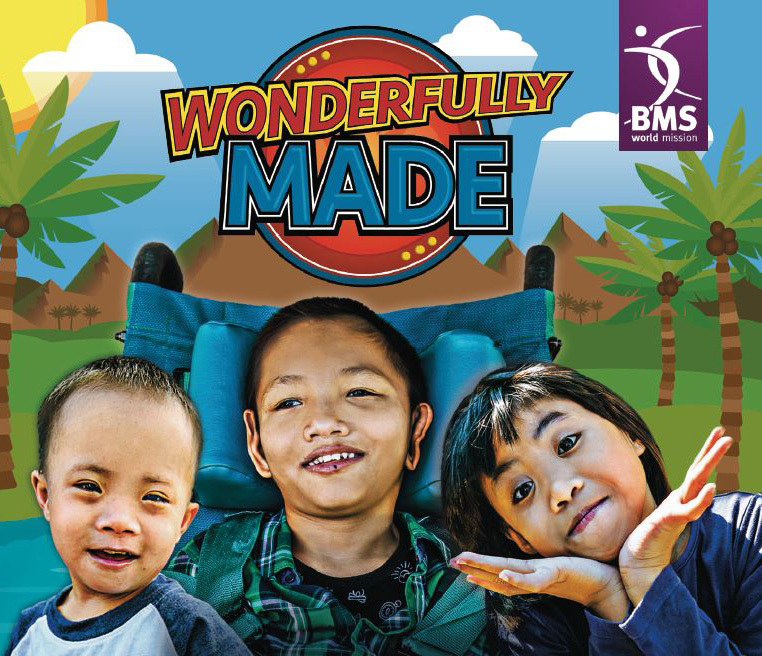 Some of us at BMS have children who have disabilities, and it’s really encouraging to be reminded that they are not products of mutated DNA, but are in fact wonderfully made by God. Pray that the video and resources really encourage other parents who may sometimes feel a little bit of despair. And pray that Wonderfully Made will be successful in raising money to help vulnerable people around the world know their God-given value. Pray for a clear and coherent Baptist vision for ending extreme vulnerability. We have been working hard with the Baptist Relief and Development Network to come up with a shared vision and approach, alongside the Baptist World Alliance. But there is more to do. Pray for important meetings about this taking place in July and October. Please continue to remember Syria’s forgotten families in your prayers. There’s still no peace, there’s still trauma and struggle, and basic needs are still being met by our partners on the ground, who are acting with compassion, love and amazing reserves of energy. Pray for an end to the conflict. Pray for the millions of displaced Syrians who are mourning for lost loved ones and struggling to live day to day. And pray that, while BMS is still needed, we and our partners would have the resources and strength to continue to respond. Pray for the Holy Spirit to work through all our personnel, partners and projects, so that every one of them will be fruitful. We work hard to be good stewards with wise plans, but ultimately we need the Holy Spirit to work in an extraordinary way. Pray for open doors to make Jesus known. Thank you so much for praying with us! Our mission workers tell us time and time again that they can sense that they are being upheld by the prayers of the UK church. Lives are being transformed by God’s love, and your prayers are helping that happen. Thank you. For daily prayer updates, follow us on Twitter.